Welcome to the 2nd edition of the Brighton Journal of Research in Health Sciences (BJRHSc). You may notice a slight change to the name of the Journal. This local branding was done on the basis of discussions with our university Marketing and Communications advisors, because of the existence of several journals that already had the generic title. The new edublog platform for this edition has several advantages over the more traditional format of the 1st edition of the Journal, and we gratefully acknowledge the help and advice of Nikki Marshall and Mark Higginson from Marketing and Communications who helped us make the shift. I would also like to thank David Bauckham and Simon Whiffin for the time that they have spent customising the site so that it supports the Journal’s needs. The new platform allows readers to access previous editions of the Journal as well as the current one. Readers can also engage in academic debate on issues raised in all articles through the use of comments facility at the bottom of each (note that all comments will be moderated by the editorial team before they appear). Articles can be shared via a number of social media platforms such as Twitter and Google+, and the platform allows for media such as YouTube clips to be embedded. The content of the site will be indexed by Google and other search engines. Finally, all readers can subscribe to the Journal by email and will be alerted when any new content is published. This second edition contains information on the SHS Seminar Programme, and contemporary and hopefully very interesting material from contributors. Nik Holland, a current mental health nursing student, makes a novel contribution to issue of the relationship between academic linguistic elitism and the nurse-patient divide. The separate mission statement, co-written with his fellow students, Zoe Hughes, Robyn-Jayne Crofton, Laura Johnstone, Chantelle Maduemezia, Sasha Marshall, Imogen Sotos-Castello and Graeme Wetherill, emerges from their relatively recently constituted Seeking Sense in Mental Health (SSiMH) student collective. As a group, SSiMH aims to create a helpful praxis forum to unite all who are interested or involved in mental health, service user groups and mental health-related organisations. It is refreshing to see such a level of engagement among nursing students, in times characterised by an urgent need for such examples of critically reflexive initiatives in nurse education, so very good luck SSiMH! The article by Dr Tania McIntosh provides fascinating historical insights into the changing nature of relationships between midwives, the women they worked with, and the medical profession in urban England from the 1960s to the 1990s. Tania argues that the consumer movement in maternity that developed from the 1960s onwards impacted significantly on policy makers. It also contributed to the shape of a radical agenda for midwives, while constituting a threat to the sense of professional identity and confidence for some in this profession. On the basis of her engagement in the University of Brighton’s Work, Write, Live creative writing courses, Helen Stanley has produced a very engaging short story in The Other Woman. There is a growing recognition of the utility of such stories as learning, transformational and research tools in the health, social and human sciences, and this is evidenced in the emerging Health Humanities paradigm. In this paradigm context, informed by narrative methodology, David Bauckham’s Love Not Money… article fuses leisure, health, wellbeing and community engagement with the existential meaning and significance of occupation through volunteering at non-League football clubs. Community engagement is described as a vital component of higher education in both the University of Brighton’s current and emerging Strategic Plans. It is therefore relevant and timely to welcome the article co-written by Warren Stewart, Laura Brown and Sam Harris. This article reports of the evaluation of the impact of the experience of second year student nurses who, as part of optional module work, volunteered to engage with socially excluded groups of children and young people. The article speaks to the ways in which new skills can be imported into undergraduate nursing curricula, and to how the students’ experiences can be interpreted on the basis of educational and communication theory. Such recognition of student contribution to pedagogy is also a vital part of our current and future strategic direction, and so it with pleasure that we have included Nicola Gentles’ article on the relevance of the Research Process in Nursing. This critical analysis of a research paper was originally submitted as her assignment for the research module, NI502 – Appreciating the Research Process in Nursing. The new Strategic Plan emphasizes the importance of teaching informed by ongoing local, as well as national and international, research. The vital relationship between occupation and wellbeing and health is fundamental to teaching informed by the occupational science paradigm. In this context, the MSc research paper by Cathy White, a recent Occupational Therapy postgraduate student, and her tutor Dr Josh Cameron is a fascinating critical discourse analysis of the ways in which both occupational therapy and occupations have been represented in the medical media. The Camtasia powerpoint, From lived experience to poststructural voice: Some implications for the use of autoethnography in mental health research was originally delivered to Masters in Social Work students at the University of Utah in January of this year. As an editorial and production team, we decided to include the link to it in the 2nd edition for two reasons. First, I hope that my development of this critique of some fundamental assumptions in mainstream qualitative research, and how this has informed my own research, writing and teaching, will be of interest to all readers involved in qualitative research. The second reason is to pave the way for space in the Journal for Camtasia powerpoint teaching contributions. Camtasia powerpoint delivery is now of our time, arguably giving added value to pedagogy, the student experience, and the continuing professional development of academics. We would therefore like to invite all lecturer readers, and relevant others, to submit their own Camtasia powerpoints for inclusion in the journal. On behalf of the editorial and production team, we very much hope that you enjoy and are helped by the 2nd edition of the Brighton Journal of Research in Health Sciences, and we look forward to receiving your comments and contributions! On 16 October 2004 I attended a match between Rustington and Bosham in Division Three of the Sussex County Football League. Due to the low level of this fixture there was no official admission charge, but instead an elderly gentleman walked around the perimeter of the pitch offering a battered wooden collecting box towards the small number of spectators, with ‘Thanks from Rustington FC’ written on it. The gentleman’s name was Fred Randall, and he was the Club President. 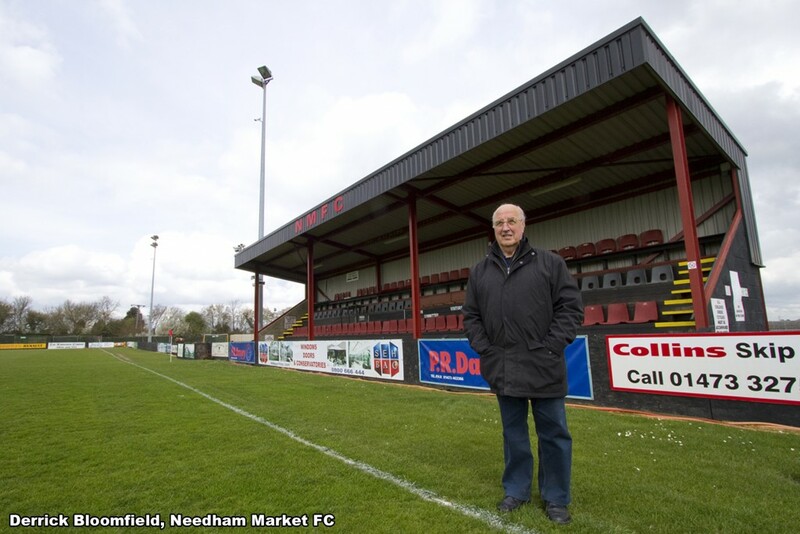 At that moment I began to wonder what motivated Fred, and others like him, to volunteer at thousands of other similar clubs up and down what is referred to as the ‘Non League Football Pyramid’ – the term ‘non-League’ referring to those clubs that do not comprise the 92 that constitute the Premier and Football Leagues. I have been photographing and writing about non-League football and its culture for over a decade, and my initial contact upon turning up at a ground with a camera, invariably a couple of hours before kick-off, is often with whoever happens to be around at the time. 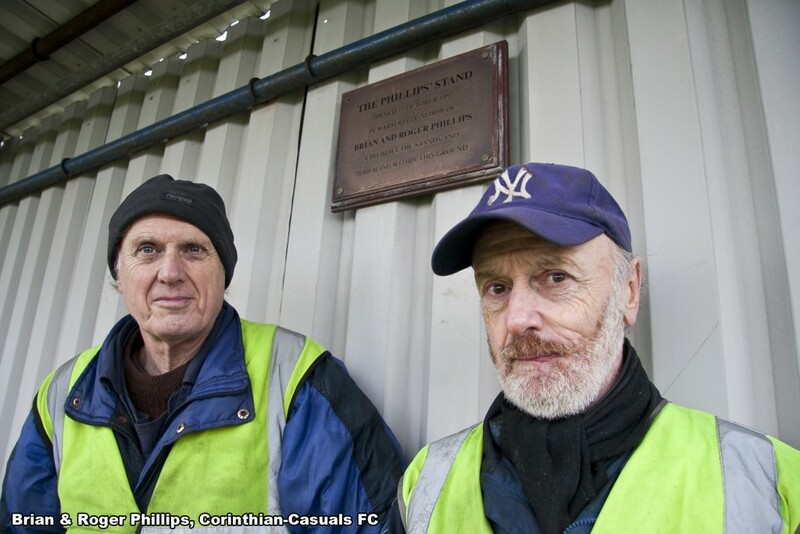 I find myself chatting with someone who has a story to tell: about the history of the club, their own involvement, and how there are always odd jobs to do, especially during the close season. These people are the lifeblood of non-League clubs everywhere, without whom many simply would not be able to function, and would cease to exist. They give their time willingly and voluntarily, and ask for little in return. They do what they do for the love of ‘their’ club, not for any monetary reward, often taking on multiple roles for many years. This study aimed to explore the experiences of a fairly random sample of club volunteers, through the medium of personal narrative and photography. Between June 2010 and October 2012 I photographed and recorded a total of 94 interviews with club officials and volunteers, 74 of whom were featured in the resulting book, ‘Love Not Money’ (Bauckham, 2012). A small proportion of those interviewed were already known to me, or were individuals I was already aware of through various sources. These I contacted in advance and they agreed to participate. The vast majority however, were simply individuals I struck up a conversation with on visiting a club: if I felt they might be worthy of inclusion I explained the project and asked if they would mind me recording our conversation and posing for a photograph. The interviews were largely unstructured and of variable duration, I had no prompts written down, but did ask about how they first got involved with the club, and how their volunteering evolved. I also wanted to know what motivated them to persevere and what non-League football meant to them. The interviews were later transcribed and roughly ‘coded’ for any themes that emerged from them. I won’t pretend that my sampling or analysis was particularly rigorous, but I did nevertheless gather a large amount of useful qualitative data. Overwhelmingly, the majority of those interviewed stated that they loved Football. Several had previously played for the club, whilst others had familial connections: perhaps having been first taken to watch their local club by a parent and/or grandparent. 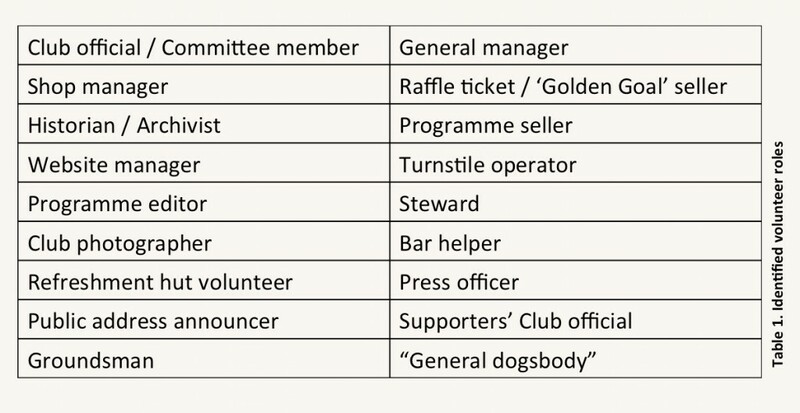 A number were supporters who had originally been asked to ‘help out’, perhaps initially by selling raffle tickets or manning the turnstiles, and their role had developed from there. Some had first got involved through their children, playing for one of junior teams run by many clubs. In some instances there was evidence of a reaction to the commodification of Football, and the Premier League in particular. 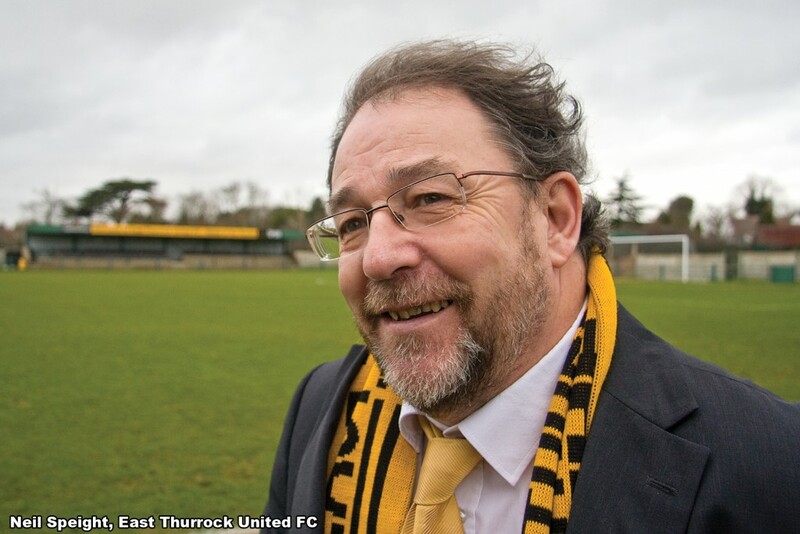 Non-League football – “real football” – was viewed as unpretentious by comparison, where supporters were more valued and not isolated from the players and club officials. An overwhelming sense of solidarity was also evident. Other motivations were largely altruistic: wanting to make a difference for example, and “give something back”; whilst one volunteer described his “civic pride” when the club he volunteered for enjoyed a good run in the FA Cup. A couple of interviewees had been officially recognised for contributions within their local community: Mamun Chowdhury (Sporting Bengal United FC) and Lincoln Moses (Continental Star FC) both having received MBEs for their work with Asian and Black communities in East London and the West Midlands respectively. 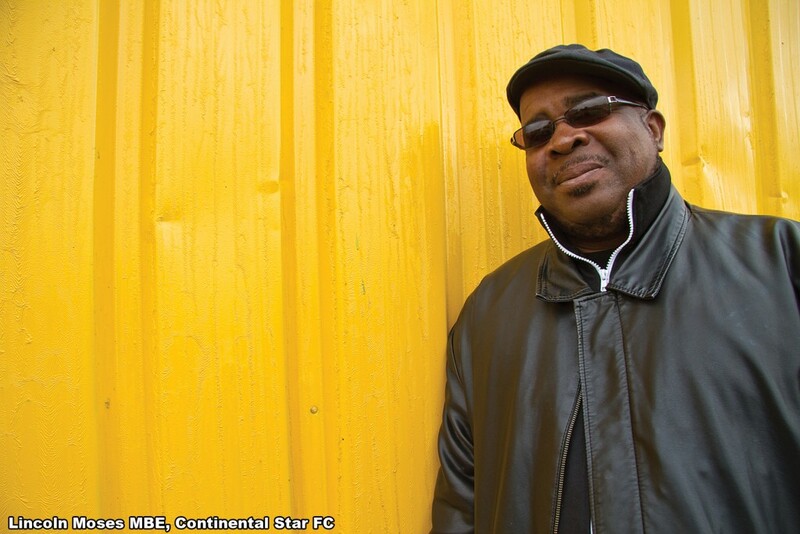 Continental Star for example, is a Social Enterprise and Registered Charity, using football as a vehicle to help those often marginalised and considered by others as hard to reach. As Moses himself stated: “At Continental Star, the ‘FC’ stands for Family Club”. The number of roles was varied, with some taking on multiple tasks (Table 1). One volunteer described himself as a “General Dogsbody”. Whilst such a comment may have been tongue-in-cheek to some extent, it might also be interpreted as a sense of being under-valued and taken for granted. “We were asked to come and give a hand one weekend, putting up a post and rail around the pitch. Then other jobs developed and we were roped in to help out with those. Everybody was very enthusiastic at the start but after a year or two it fell away and we were left to get on with it”. The Phillips twins still volunteer seven days a week and take on multiple tasks on matchdays: “We do it because it makes a difference, but at the end of the day we wouldn’t do it if we didn’t enjoy it”. Despite the general consensus that those who continued to volunteer did so because they enjoyed it, this was not universal, and for some that original motivation had diminished. Some described themselves as “being lumbered”; whilst another described his role as a “life sentence”. Certainly there was a feeling, albeit amongst a minority, that they felt unable to step down from their role because there was no-one to take their place. In some cases this resulted in a ‘disagreeable obligation’, leading to stress, and in one notable case, ill-health. Rochester et al. (2012) cite Halman & Moor (1994) who identified four key values that underpin volunteering, namely Altruism or Beneficence; Solidarity; Reciprocity; and Equality and Social Justice (Table 2). It was the Solidarity value that appeared most prevalent amongst those interviewed: a feeling of identification with a group or society; and a responsibility to contribute to the well-being of the group and its other members. It seems logical to consider volunteering as a leisure time activity, and there is a general assumption that leisure activities carry positive benefits in terms of health, quality of life, and well-being (Caldwell, 2005). Is all leisure (and volunteering) uncoerced? Are there circumstances when it may be considered ‘work’? When does an agreeable obligation become a disagreeable one? When does ‘leisure’ become ‘semi-leisure’ … and even ‘anti-leisure’? Stebbins (2000) notes that key volunteer roles often consist of major responsibilities, which often consume considerable time. Those who fill them sometimes become weary of such demands, but whilst they might like to abandon the role for a less hectic and demanding activity, they realise that in some instances there is no-one to replace them. As a consequence they become: “stuck, possibly burnt out, forced by obligation to remain indefinitely in what has by this time turned into anti-leisure”. This certainly appeared to be the case in a couple of examples from this study, highlighting that as well as the often cited positive rewards associated with volunteering, there are also costs, particularly with organizations reliant on a relatively small number of individuals. The Serious Leisure Perspective (Stebbins, 2007a) actually incorporates three forms of leisure activity: Serious, Casual, and Project-based (Table 3). Volunteering can take any of these three forms, and often volunteering activity ‘zig-zags’ between the three. Whereas Project-based leisure tends to related to short-term, time-constrained volunteering and therefore not particularly relevant to those participating in this study; examples of both Casual, and particularly Serious leisure were evident. Most of those interviewed had begun volunteering in a casual manner, but in a number of cases this had progressed to the serious form, and they had found what Stebbins describes as a ‘leisure career’ through their volunteering activity. 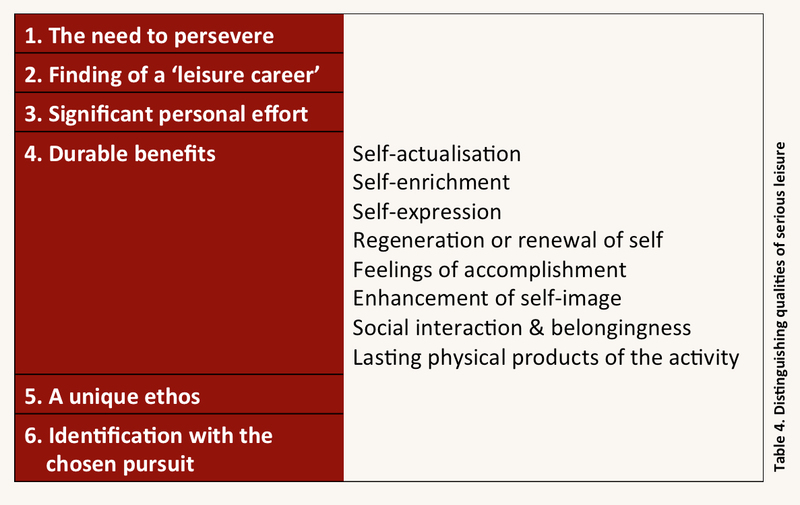 Many certainly met the ‘Six Distinguishing Qualities’ of Serious leisure defined by Stebbins (Table 4). Moreover, just as any career ultimately comes to end, a minority were clearly approaching the end of theirs, as they felt the need to step back, “wind down”, reverting to a more casual approach or ‘retiring’ altogether, even if they found it difficult to do so. Such movement, back and forth along a casual-serious leisure continuum, is described by Patterson (2001). Stebbins (2007b) has also defined a leisure-based theoretic typology of volunteers and volunteering incorporating all three forms of the Serious Leisure Perspective. It centres on both formal and informal volunteering – usually non-organisational volunteer activity. He suggests that volunteer activities are motivated, in part, by one of six types of interest in activities, but that are also ‘mixed types’: where volunteer activities bridge two or more of these types. A significant number of non-League football volunteers appeared to meet the mixed type descriptor: in particular a combination of the ‘People/Popular’ (e.g. volunteering with people, fund-raising) and ‘Things/Material’ (e.g. donation of trade and skills; building things) type volunteers described by Stebbins. The personal narratives from this study on non-League football volunteers certainly appear to conform to several theoretical perspectives of volunteering, particularly those as a leisure activity. There are clearly many positive attributes and ‘rewards’ that come through volunteering, and associated benefits to health and well-being beyond the scope of this article. Nevertheless, it is equally important to recognise that there can be ‘costs’ and negative consequences, particularly where individuals feel unappreciated and unsupported; and where what was once an agreeable obligation, has become a disagreeable one. Bauckham DH, 2012. Love Not Money. Eastbourne: Centre Circle Publishing. Caldwell LL. 2005. Leisure and health: why is leisure therapeutic? British Journal of Guidance & Counselling. 33 (1) 7-26. Patterson I. 2001. Serious Leisure as a Positive Contributor to Social Inclusion for People with Intellectual Disabilities. World Leisure Journal. 43 (3) 16-24. Rochester C, A Ellis Paine, and S Howlett. 2012. Volunteering and Society in the 21st Century. Basingstoke: Palgrave Macmillan. Stebbins RA. 2000. Obligation as an Aspect of Leisure Experience. Journal of Leisure Research. 32 (1) 152-155. Stebbins RA. 2007a. Serious Leisure: A Perspective for Our Time. New Jersey: Transaction Publishers. Stebbins RA. 2007b. Leisure Reflections, No. 16: A leisure-based, theoretic typology of volunteers and volunteering. Leisure Studies Association Newsletter 78. Stebbins RA. 2013. Unpaid work of love: defining the work-leisure axis of volunteering. Leisure Studies. 32 (3) 339-345. This article describes some of the experiences of a small group of second year adult nursing students during an optional module – Student Community Engagement (SCE), at the School of Health Sciences, University of Brighton. Their experience was reflected on in the context of being a volunteer and working with socially excluded groups of children and young people. Their reflections are discussed in relation to the importation of new skills into their wider course work and are interpreted using educational and communication theory. In year two of the BSc Nursing undergraduate curricula students are able to choose between a range of optional modules. Students electing to participate with the SCE module are then invited to a ‘matching event’ which is jointly coordinated by staff from the Active Student Volunteering Service, based with University of Brighton’s Careers Service. Local voluntary organizations are invited to discuss potential learning opportunities within their organizations and to attract motivated volunteers. Significantly, many of the volunteering placements are not for profit organizations with a social care orientation, this offers the students a distinct change from their usual health based organizations. Early in the placement students are asked to complete a Strengths, Weaknesses, Opportunities and Threats (SWOT) analysis and a learning agreement which are later reflected upon. One of the key aims of the module is the recognition and importation of transferable skills and knowledge back into their existing repertoire of professional nursing skills. The module’s summative assessment constitutes a short report describing the host organization and its function, an account of how they have spent their time, an impression of their effectiveness in their volunteering role, the benefits of their activity to the community and the skills and attributes developed while volunteering within the organization. The module is supported by six theoretical sessions looking at volunteering, active citizenship, relevant social policy and project planning. Two action learning sets are facilitated by senior lecturers, making use of narratives, story-telling and the use of reflective dialogue. At our matching event a range of volunteering options was presented, including the opportunity to volunteer with CCHF – All About Kids (previously Children’s Country Holiday Fund). As students training in the adult branch of nursing we rarely get to work with directly with children, this experience was viewed as an opportunity to broaden our skill-set with this specific group and to challenge ourselves by working with children from disadvantaged backgrounds with potentially difficult behavior. CCHF was established in 1884 and is a registered charity. It aims to give disadvantaged children respite and residential breaks in order to improve their quality of life and to help them to recognize their own potential (CCHF 2013). It focuses on children aged seven to eleven living mainly within London or the immediate surrounding areas; it relies totally on donations from the public and corporate partners to fund their activities. Children can be referred by anyone who works with disadvantaged children such as teachers and social workers; their eligibility is then assessed against the CCHF criteria. This criteria includes a range of factors such as poverty, abuse, low self-esteem, children that care for a family member, or other family factors such as having a parent who abuses substances or who has a mental health issue. Each child is gently monitored for the duration of the camp due to their circumstances. CCHF works closely with statutory organizations in order to address any issues or concerns encountered throughout the duration of the camp. As such the experience represented our first opportunity to patrol the tensions of a safeguarding role. It is estimated that of the 1.1million families living on low income in London in 2010 / 11; 60% could not afford to take their children away for a week’s holiday (London’s poverty profile, 2011). Cummins et al (2013) suggest that children that are brought up in poverty can be at greater risk of suffering from low self-esteem. This is one of the key areas that the charity works to improve. Their annual report demonstrates that many of the children that arrive on camp with low self-esteem and leave feeling much happier and far more confident (CCHF All About Kids, 2013). The wider community also benefits from those accessing the opportunity as children with greater confidence and self-belief are more likely to have better health and are also less likely to engage in criminal activities (Chen et al 2013). Knapp et al (2011) supports this notion by suggesting that individuals who suffer from low self-esteem in childhood are likely to have worse economic prospects in adulthood. Conversely research by the Child Poverty Action Group (2013) using Department of Education data, suggests that children receiving free school meals attain an average of 1.7 grades lower than wealthier students. A King’s Fund report (Buck et al 2013) suggests that in our modern society volunteers are sometimes under appreciated and used instead of paid workers – however this was found not be the case at CCHF where they have always relied upon the goodwill of volunteers to enable their existence. The role of the volunteer in society has become ever more important as a result of reforms put in place by the Health and Social Care Act, 2012, (Naylor et al 2013). As such, volunteering is now a key part of the current governmental strategy, and is included in their ‘Big Society’ vision. This aims to encourage people to participate in local projects, by giving them more power to influence the running of services and facilities in their community (Cabinet Office 2010). It believes that the inhabitants of communities understand the needs of the local area most, and this will help create “attractive and thriving” neighbourhoods. Volunteering is traditionally associated with the concept of altruism (Haski-Leventhal 2009) – the motivational selfless desire to increase the wellbeing of others. Alternatively, Carpenter and Myers (2010) argue that the main drive for volunteering is not altruism, but the perceived benefits, whether these are career benefits or purely self-satisfaction. Sigmund and Hauert (2002) take this point further, suggesting that any act in which both parties gain is more co-operation than altruism, as both the volunteer and the organization benefit from the partnership. CCHF utilize this sense of co-operation in their organization; the vast majority of the workforce is made up from volunteers. Most of them are students who are hoping to both enjoy the experience and improve their future career prospects. Amy’s reflection Before camp I had little experience of working with children or even managing large groups of people. At one point I managed a group of 15 challenging children for an hour with another first time volunteer. The children were well behaved, safe and actually enjoyed themselves, and at no point did I find myself worrying or panicing. Later on in the day, the senior leader praised at CCHF this activity, which helped to build my confidence for future situations on camp. Although these individuals were children, my confidence in leading larger groups of adults has definitely improved and this has made a noticeable difference in clinical practice, for example, when managing a bay of patients in a ward. A potential weakness that I discovered during the camp that I had not previously identified in the SWOT analysis was my hesitance when trying to find the words to set and enforce interpersonal boundaries with the children and young people. As the week progressed I began to see the consequences of not doing so, I therefore realized that I needed to take some advice from our senior leader, who encouraged a certain amount of careful risk taking. This gave me the confidence to gradually experiment by trying different approaches within the interaction’s, in doing so I eventually over-rode my fears of causing offence or humiliating myself. I found that upholding boundaries did not alter the relationship that I had with the child, nor reduce their respect for my position; it was mostly accepted and often helped to harmonize power structures in the group. Reflecting on this process has helped me in subsequent nursing roles, for example, at timely moments I am more confident when offering health promotion advice, such as advice to reduce smoking, drinking or other harmful activities that I anticipated I would be perceived in an authoritarian or negative light. One of the most significant experiences that occurred to me during the camp was dealing with a disobedient child and their parents. A particular child had consistently demonstrated aggressive behavior towards others in the early days of the camp. Bullying is not tolerated and so it became my responsibility to liaise with the parent about the child’s behavior and return them to home ahead of schedule. The parents were understandably upset and concerned when I contacted them; I myself felt awkward and did not want to exacerbate the situation further. I tried to remain calm, be professional and listened attentively to the parents; eventually we came to a mutual agreement. The way in which I dealt with this situation and the camp as a whole, reinforced my own ‘self-efficacy’, this is the belief in one’s own capabilities to produce a desired effect by one’s own actions (Lopez and Snyder 2011). At first I found the encounters quite difficult, I just wasn’t consciously judging the children and young people, just uncertain as whether they would accept me and how the interactions would go. However, after I had spent some time with the children I realized that most of my pre-conceived fears were in fact unfounded, and by the end of the camp my I sensed that my confidence had changed. During my nursing career I will encounter people from all walks of life; this episode forced me to think about my own attitude and values. I believe this realisation equates to a shift in values which will stay with me for years to come. I feel that working with children that may be distressed or upset during the camp has improved my communication skills, insight and confidence in clinical areas where I might encounter and treat children on a regular basis. Having not previously worked with children, I found being able to interact and to make appropriate interventions, a valuable leap for me which in turn forms a valuable part of a child’s development. Sam’s reflection By the end of the camp I felt proud to be a part of each child’s accomplishments and saying goodbye to them was one of the hardest things that I experienced. As a caring professional it is vital to maintain healthy relationships with the patients and people that you work with. 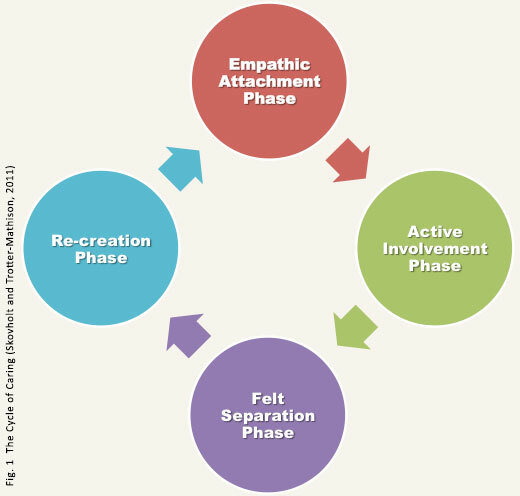 Making use of attachment theory Skovholt and Trotter-Mathison (2011), helpfully describe the ‘caring cycle’ as consisting of four stages: Empathetic Attachment, Active Involvement, Felt Separation and finally, Re-creation. I related this model to the time with the children and it is directly transferable to the relationships I form in my nursing practice. Knowledge and use of the model has helped me to think differently about the process of attachment. Failure to reach the recreation stage of the caring cycle may indicate an unwanted level of attachment or unprofessional attitudes. My belief is that I will now be able to take part in further camps, being able to recreate healthy, professional relationships again and again. My experience of volunteering has brought to the fore many considerations into my own education as a student nurse and responsibilities as a future health care practitioner and leader. Due to the personal circumstances of the children at CCHF, I became more aware the importance of safeguarding practices, namely remaining vigilant for possible signs abuse and malnourishment. Being responsible for a group of children meant observing for any issues and reporting them immediately; this aspect of social care applies more broadly to nursing and the responsibility nurses have to the wellbeing of their patients. I have found this experience correlates with my current placement in a Community Nursing Team as we regularly see vulnerable adult patients in their own homes. Facilitator’s reflection Having supported the students during other academic sessions over the previous year I felt I understood the students well enough to sense the impact that volunteering had on them personally and on their learning. Their sheer enthusiasm evoked a positive sense of dissonance which inspired me to try and capture and analyse their experiences. In our action learning set I probed their narratives, asking what it was about the experience that so differed to other experiences on their course. My overriding sense was that it was the immersive nature of the summer camp combined with their interactions with the young people that had helped to transform their attitudes towards themselves, their practice and their ability to form and maintain relationships. To interpret the students’ experience I have found it helpful to locate their experience on a two dimensional map of ‘reality’ and ‘learning outcomes’, created by Morgan and Burrell, (1979, cited by Brockbank and McGill, 2006). 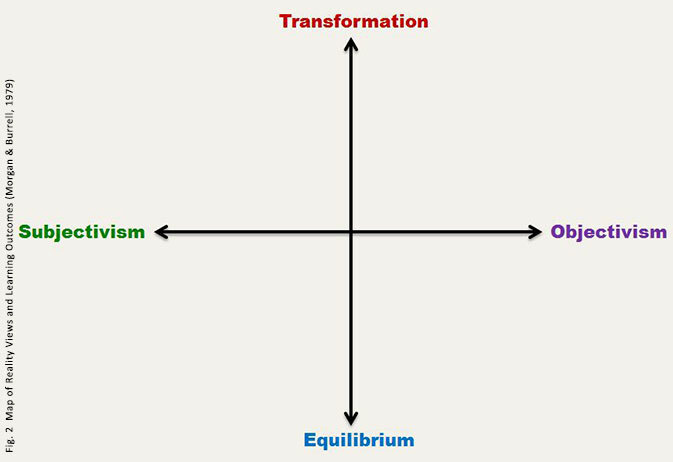 It is my view that their collective experience moved the group away from the objectivism and towards the subjectivism end of the reality dimension, and from the equilibrium towards the transformation end of the learning outcomes dimension. Arguably, much of the learning taking place on the adult pre-registration nursing programme, such as clinical skills or anatomy and physiology, depends heavily on notions of an objective reality and maintaining the equilibrium of power structures, as per the conceptual dimensions. Such learning reflects ‘imposed objectives, based on perceived objective reality’ (Brockbank and McGill, 2006). At the ‘equilibrium’ end of the dimension, the status quo and ‘taken for granted’ ideas go unchallenged and are therefore upheld by the prevailing discourses and scripts. My analysis is, the summer camp experience nudged the students towards the subjectivist end of the continuum as they were immersed in a new social world and a common language became ‘understood and continuously reconstructed, reproduced and transformed through interaction’ with the children and young people, (Brockbank and McGill, 2006). The students’ perspectives appear to have been altered as a consequence of the developmental experience, pushing them away from the stability of the equilibrium element towards the transformative end of the scale. This is consistent with a symbolic interactionist perspective on perceptions of self and on developing relationships. Symbolic interactionism can be defined as ‘a theory of human communication that can account for the process by which everyday nursing situations become defined and redefined’, (Stevenson, Grieves and Stein-Parbury, 2004). Symbolic exchanges occurred during their interactions and these appear to have shaped understandings and cemented social relationships. For a short time they had been thrown off their usual student nurse ‘script’ (Stevenson, Grieves and Stein-Parbury, 2004), into a completely different domain and the students had adapted to the challenge and risen to the responsibility. In doing so they had achieved new understandings by being part of the young people’s world, using their language, interpreting and making meaning of their communication. Johnson and Webb (1995, cited by Stevenson, Grieves and Stein-Parbury, 2004) found that ‘nurses do judge the social worth of people and that such judgments do have moral consequences’. However, in our students’ case we have seen these relatively negative evaluations were negotiated and renegotiated throughout their interactions. Once such attitudes are brought into awareness through the process of reflection, corrective thoughts were assumed. In thinking about the collective experience of the group, all three students have processed their experience and engaged with their inner dialogue to make meaning of what occurred in their week with CCHF. Significantly, by processing the subjective cues that occurred, small and hopefully lasting shifts and transformations of attitude occurred impacting on their outlook and learning. Brockbank A and McGill I, (2006) Facilitating Reflective Learning Through Mentoring and Coaching. Kogan Page, London. Page 10. Burrell G and Morgan G (1979). Sociological paradigms and Organisational Analysis, Heinemann, London. Cabinet Office. 2010. Big Society Programme.[Online]. Available from: www.gov.uk/government/uploads/system/uploads/attachment_data/file/78979/building-big-society_0.pdf [27th August 2013]. Carpenter, J. and C. Myers. 2010. Why volunteer? Evidence on the role of altruism, image and incentives. Journal of Public Economics. 94 (11): 911-920. CCHF. 2013. CCHF All About Kids [Online]. Hassocks: CCHF All About Kids. Available from: http://www.cchf-allaboutkids.org.uk/welcome.htm . [4th September 2013]. Haski-Leventhal, D. 2009. Altruism and Volunteerism: the perceptions of altruism in four disciplines and their impact on the study of volunteerism. Journal for the Theory of Social Behaviour. 39 (3): 271:383. Lopez, S. and C. Snyder. 2011. The Oxford Handbook of Positive Psychology. 2nd ed. New York: Oxford University Press. Naylor, C., C. Mundle., L. Weaks., D. Buck. 2013. Volunteering in health and care. Securing a sustainable future. [Online]. Available from: www.kingsfund.org.uk/sites/files/kf/field/field_publication_file/volunteering-in-health-and-social-care-kingsfund-mar13.pdf [27th August 2013]. Nursing and Midwifery Council. 2013. Competencies for entry to the register – Adult Nursing. London: Nursing and Midwifery Council. Sigmund, K. and C. Hauert. 2002. Altruism. Current Biology. 12 (8): 270-272. Skovholt, T, and M. Trotter-Mathison. 2011. The Resilient Practitioner. 2nd ed. New York: Routledge. Stevenson, C., Grieves, M., and Stein-Parbury, J. (2004). Patient and Person, Empowering Interpersonal Relationships in Nursing. Elsevier, Oxford. A Critical Discourse Analysis of representations of occupational therapy and occupations in medical media. Introduction: English healthcare reforms have prompted occupational therapists to increase efforts to promote their profession to service commissioners (many of whom are general practitioners). Concerns exist that some medical doctors may not fully understand the role of occupational therapists. This research investigated portrayals of occupational therapy and occupations in media aimed at general practitioners. Method: A critical discourse analysis of 13 on-line and 13 magazine articles from a leading medical publisher. Findings: Two major discourses were identified: occupational therapy is a valued service – this was qualified by 2 articles considering responses to public spending austerity measures; secondly, occupation is an important aspect of life that can be enabled by medication or restricted by illness – this contrasted to very limited presentation of the therapeutic potential of occupations. Across all findings there was little reference to mental health conditions. Conclusion: Occupational therapists should welcome acknowledgements of the importance of occupations to people’s health and well-being, and, also the portrayal of occupational therapy as valuable. However, occupational therapists should increase their efforts to explain the following to general practitioners and commissioners: their effectiveness; how occupations can be therapeutic; and the role of the profession supporting people with mental health problems. Following a tumultuous journey involving heated debate and last minute amendments, The Health and Social Care Act was passed into English law on March 27th 2012. Thus England underwent the most significant reform of the NHS since its creation in 1948 (Cairns 2012). Key to the reforms is the concept of ‘commissioning’. General practitioners (GPs) and other health professionals now lead local clinical commissioning groups, choosing what health services they wish to purchase, taking control of 80% of the NHS budget (Charlesworth and Smith 2011). In light of these reforms, various healthcare professional bodies are encouraging their members to promote their role within health and social care and influence commissioners. For instance, the British Association of Occupational Therapists (BAOT) has advised its members that; “by influencing their [commissioners’] decisions you can ensure service users have increased access to occupational therapy services. You can also ensure increased allocation of resources to occupational therapy and more job opportunities for the profession” (BAOT 2011). Alongside this are concerns that some medical doctors do not understand the occupational therapist’s role (Pemberton 2008, Taylor 2011) – a phenomenon directly observed by the first author whilst a student on practice placements. Previously, Finlay (2004) suggested that ambiguity and confusion about the role of occupational therapists led the profession to a “state of crisis”. The research presented in this article investigates current representations of occupational therapy by examining how the profession is portrayed in articles on the Pulse Today Website (www.pulsetoday.co.uk) for GPs and explores whether or not a relationship between health and occupation is portrayed in Pulse magazine. It is hoped that the findings will be of use to: those tasked with the promotion of the occupational therapy profession; to other professions facing similar challenges; and to researchers interested in the use of Critical Discourse Analysis (Van Dijk 2011). Research related to this topic is dated. Similar studies have not been conducted since the 1990s, when GP fundholding, a very similar structure to the current reforms, was introduced (but not fully implemented). Three studies used questionnaire research to obtain doctors’ perceptions of occupational therapy. Chakravorty (1993) found that awareness in respect of occupational therapy services was lacking in 50% of GPs and 70% of consultants in a then District Health Authority. GPs in Greenhill’s (1994) were unaware of the varying roles of occupational therapists and were, as a result, unable to identify the benefits of an occupational therapy service. Similarly, Darch (1995) reported that none of the 22 GPs who responded were aware of the full range of occupational therapy skills as defined by the College of Occupational Therapists. In all three studies, sample sizes were small, and, as their methods/research questions differed, direct comparisons cannot be made. Recommendations were made on marketing occupational therapy services to GPs such as: maintaining regular contact with updates of new, relevant information; lunch time talks; seminars and/or lectures; and presentations/visits to occupational therapy departments for GP trainees (Chakravorty 1993, Greenhill 1994, Darch 1995). The length of time since these studies were completed and the different policy context suggests the need for new research in this area. More recently Canadian research, using a multiple case study design, found that understanding of the occupational therapists’ role was essential to support effective integration of the profession into primary care but also that physicians’ (GPs) had a lower level of this understanding than other disciplines (Donnelly et al 2013). Studies investigating other professionals’ perceptions of occupational therapy has been carried out. For instance, Pottebaum and Svinarich (2005) used survey research as a method to capture psychiatrists’ perceptions of occupational therapy, and compared this information with the number of referrals they make. They found that the psychiatrists with least knowledge of the role of the occupational therapist were less likely to refer people to them. Taylor (2007) typified research on how members of the multi-disciplinary team view the role of occupational therapists as “well worn [and] of little value to a wider audience” (p6). Similarly, in a letter to The British Journal of Occupational Therapy, Creek (2000) recommended that occupational therapists stop worrying about other professions not understanding their role, and “accept that it cannot be encapsulated in a few words” (p405). Finlay (2004) and Fortune (2000) were amongst those who disagreed, calling for further research in this area. It remains the case that published literature on the subject is dated and lacks in methodological diversity. Above all the changed social and political context in the UK and internationally supports the need to explore the complex processes involved in the representations and understandings of the role and practice of occupational therapists amongst other professionals (Reeves et al 2010). How are occupational therapy and the link between health and occupation portrayed to general practitioners? Critical discourse analysis (CDA) is used by many researchers to understand the social and political influence of text or talk (Van Dijk 2011). CDA not only analyses text (which may be words or pictures), it also theorises on the social and cultural contexts in which texts are produced and interpreted. Since these contexts were considered central to answering the research question CDA was selected as a suitable methodology for this study. The focus on power in CDA has been developed by the key foundational social theorists (such as Chouliaraki and Fairclough 1999), who have been particularly interested in the ways discourse practices reproduce and/or transform societal power relationships (Lillis and McKinney 2003). Lo-Bartolo and Sheahan (2009) used CDA from an occupational science perspective to analyse an Australian government newspaper promoting employment reforms. Their study makes full use of CDA’s ability to interpret power relationships between groups, claiming “power is the bridging concept between the seemingly unrelated topics of industrial relationships and occupational science” (p410). Other authors use the principles of CDA to explore discourses in texts but do not address power issues to the same extent. Pattison (2006) acknowledges that discourses identified in key UK critical care documents include the power dynamic between professions, families and patients. However, she also explores other discourses such as how the technological environment can act as a barrier to good end-of-life care. Central to the CDA approach is to acknowledge and make transparent the position of the researcher. One charge levelled at discourse analysis is that researchers read what they want to find in the texts they analyse (Smith 2006). Reflexivity is defined by Green and Thorogood (2009) as “the process of reflecting on both your own effect on the data generated as a participant in the field, and on the social and cultural processes on the research itself” (p286). These authors go on to say that reflexivity is “essential in qualitative research” (p 286). The current study used reflexivity in conjunction with a consistent methodological approach to address Smith’s (2006) critique and to increase reliability. A critical approach starts from a certain stance; here this was related to the first author’s role as a student occupational therapist at the time of conducting a MSc research project and her first-hand experience of the discourses between the groups being studied. It is acknowledged that this background influenced the reading, understanding and interpretation of the texts under analysis. Critical discourse analysis “behoves researchers to explain their own analytic methods” (Annandale and Hammarstrom 2010, p574). To aid this, studies within health and social care literature that used principles of discourse analysis as a methodological approach were reviewed. This exercise guided the selection of specific methods detailed below. According to Corcoran (2005) media plays a “historically unprecedented role in dominating the symbolic ecology of modern life” (pxii). Bell and Garret (1998) consider media to have “a pivotal role as discourse bearing institutions” (p5). Thus, media texts are frequently the subject of analysis for researchers carrying out discourse analysis because of the power exerted on their audiences (Smith 2006). Media texts therefore offer a sound source of data for investigation of how a topic is portrayed to audiences. Pulse on-line and Pulse magazine were identified as potential data sources because of their wide reach to their target audience of general practitioners. Further details about these sources and the reasons for their choice are provided in the results section below as this forms part of the sociocultural and discourse practice levels of analysis. There were two research elements; one focusing on portrayals of occupational therapy, and the second on representations of the link between occupation and health. 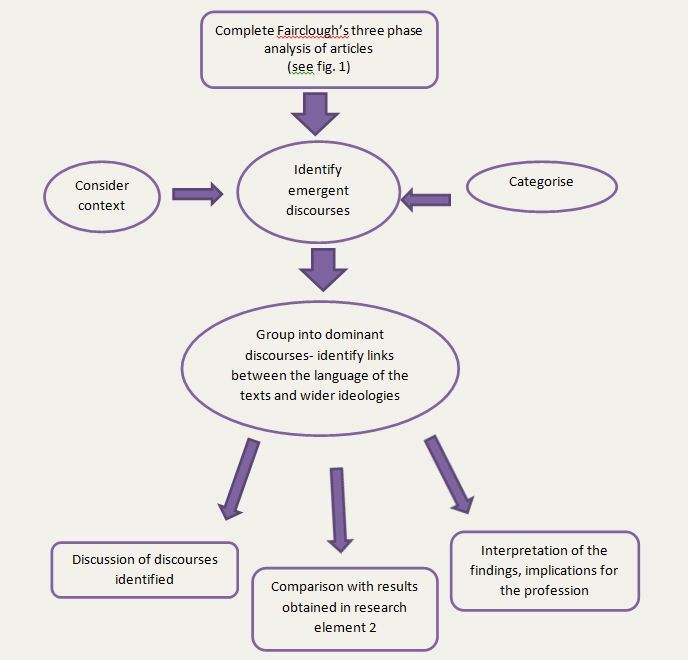 Both elements used Fairclough’s (1995) three tier approach to critical discourse analysis, which was deployed as the first stage of analysis (Fig. 1). The method of analysis is outlined in figure 2. Research element 2 (RE2), focusing on portrayals of relationships between occupation and health, analysed content from Pulse magazine for GPs. Three editions were selected from six months’ of issues immediately preceding the commencement of this stage of the study in order to provide up-to-date data. These editions were selected randomly using an internet based random number generator designed specifically for researchers (Urbaniak and Plous 2011). The first author carefully read each of these issues. Approaches from occupational therapy were used to support analysis. Several occupational therapy models divide human occupation into the three domains of productivity, leisure and self-care all within the context of a person’s environment (see: Townsend and Polatajko 2007; Baum and Christiansen 2005; Kielhofner 2008). These three components of human occupation were used as a framework when searching for articles related to human occupation. Articles that made reference to at least one of the three domains of human occupation, or to the environmental context of patients’/clients’ lives were included for analysis. The selected articles were presented to the second author (the first author’s research supervisor) for discussion before conclusions were drawn. In this way the second author adopted the role of a “critical friend”, which is common practice in discourse analysis (Pattison 2006, Nyman et al 2011), by pointing out other possible interpretations and discussing those that had been identified, therefore adding to the reliability of the data. See figure 3 for an overview of the process taken in this research element. Pulse magazine’s listing on online journal database host EBSCO lists the publication’s subject areas as a) health and medicine and b) politics and government. Discourse in Pulse publications was largely dominated by political issues, such as the health reforms in England, in which GPs hold a central role, and the hotly contested pension reforms for doctors, over which both hospital doctors and GPs were considering industrial action at the time of writing. The socio-cultural environment in which these publications were produced was one of political turmoil. The reforms of the NHS have been understood as an attempt to curb the costs of running the health service (BBC 2012). They were produced during a global financial crisis, resulting in recession the UK and much of Europe and consequent austerity measures. To a degree, the publications selected for analysis reflected that heated political environment. Political issues dominated the headlines and draw the reader into the magazine or website using bold political statements and images. See figure 4 for examples. In the Royal College of General Practitioners Chairman’s report for 2010-2011, the dominance of political discourse among GPs was acknowledged, “when I stood for Chair of Council I didn’t for one moment expect that my first year of office would be dominated so heavily by the Health and Social Care Bill” (Gerada 2011, p2). However, a deeper investigation into media and publications aimed at general practitioners suggests that the fundamentals of general practice – most salient being patient care – remain the primary concern. Gerada’s report (2011) highlighted many key issues the College continued to work on, such as promoting healthy living and supporting people with mental health issues. Beyond the headlines, both Pulse magazines and website devote a significant number of column inches to articles on clinical topics such as case studies, training and other patient-related issues.The research reported in the current study focuses on portrayals of occupational therapy and the link between health and occupation within media sources aimed at GPs. It is discourses relating to this primary focus of general practitioners, patient care, that are of interest. However the wider socio-cultural context of these discourses cannot be ignored as they influence and may help explain their significance and potential impact. The texts under analysis were targeted at General Practitioners working in the UK. After careful consideration of several publications, Pulse was identified as an appropriate media source to draw upon for this research. The Pulse Today website and Pulse magazine are both owned by UBM Medica. Pulse’s marketing uses the slogan- “at the heart of general practice since 1960” (UBM Medica 2012), suggesting that it is respected and has a wide reach. Accessing information about traffic on the Pulse website is difficult- with only vague details such as “traffic has tripled over the last couple of years” revealed in Pulse’s media pack (UBM Medica 2011). Detail about the distribution of the magazine is readily available- 35,000 copies are distributed weekly (UBM Medica 2011) and a UK-wide medical readership survey conducted in 2011, placed readership of Pulse ahead of its rival, GP magazine, claiming that 88% of GPs have read Pulse at some point over the last year (Hoey 2011). The powerful position Pulse holds in the area of media aimed at primary care professionals is demonstrated by the significant number of stories picked up by national news agencies that first appeared in Pulse or on the website. This was the case for an average of one story per week over the past two years (UBM Medica 2012). The analysis identified two dominant discourses which are presented and discussed in relation to wider literature below. Also included in the discussion are some important qualifications to these discourses and a consideration of the very limited mental health related content in the texts. The themes identified here, which have all been categorised under “discourse 1”, emerged from over 92% (n=12) of the articles under analysis in RE1. All of the articles from which this positive portrayal of occupational therapy emerged were written by doctors from various disciplines working in both acute and primary care settings. The significance of this will become more apparent to the reader in later discussions examining discourses that emerged from advertisements, which have distinctly different origins. These are promising findings for those tasked with the promotion of the profession. They contrast to past findings low levels of medical doctors’ understanding occupational therapy (Chakravorty 1993, Greenhill 1994, Darch 1995, Pottebaum and Svinarich 2005), Though direct comparisons cannot be made because these studies were surveys of medical practitioners whereas the current study gives an insight into knowledge of those doctors who write on Pulse’s website, it is notable that in RE1, 38% of the authors were consultants and 62% were general practitioners. The discourse identified suggests that there are influential GPs and hospital consultants who may now value occupational therapy to a greater extent than in the past, and as a result portray the profession in a positive light when authoring work that is aimed at GPs. In this time of national financial austerity, and with the NHS reforms handing over control of the purse strings to the target audience of these articles, this theme provides a stark reminder to occupational therapists of the need for GPs to understand their role and value their services. 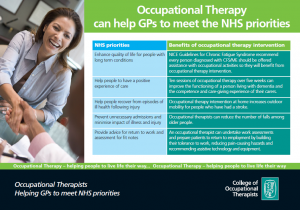 To an extent this theme conveys the same resounding message – that occupational therapy services are valuable in preventing unnecessary admissions and promoting independence. The value placed on occupational therapists however, is different in the second article, as there is an assumption that assessing the home environment does not require the active use of an occupational therapist’s knowledge base or specialist clinical skillset. Medication enables occupation: examples include an image of couple ballroom dancing enabled by anti-inflammatory medication; and the example in Figure 5 below. Fig. 5:  Text 12, RE2. 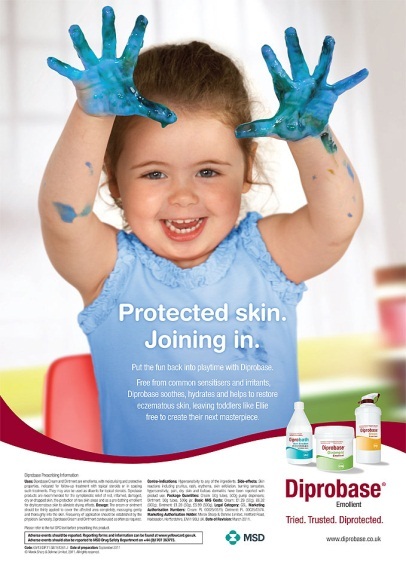 Example of advertisement with clear occupational image- medication enables occupation. (Component of human occupation referenced- play). According to Wilcock (2005), “occupational therapists are widely associated with a medical model of healthcare in which recognition of how engagement in occupation contributes to health status is poorly understood” (p5). Wilcock goes on to note that she does not condemn the medical model but acknowledges that it’s approach to health differs from that of occupational therapy suggesting that occupational therapists have much to offer medicine. Advertisements for medication are useful sources of information regarding the kinds of ideas and representations about health and illness that are held and promoted within sections of the health industry, whether intended, or implicitly perpetuated using text or images (Foster 2010). The discourses identified portrayed a distinct link between health and occupation, but very much from within the confines of a medical model – occupation is seen as a central part of a person’s life which can either be restricted by illness or enabled by medication. Occupational science as the study of people as occupational beings takes a different approach to this link – that occupation itself can be therapeutic and health giving (Wilcock 2005). The discourses identified rarely portrayed occupation as something that can be therapeutic. The analysed advertisements were produced by global pharmaceutical companies with multi-billion dollar annual turnover (Davidson and Greblov 2005). Within this specialised industry, significant resources are invested into marketing in order to maximise the potentially very-high profits that can be secured from developing and marketing a particular treatment (Kotler et al 2005). Context, therefore, is key. These firms are well-versed in the foundational concepts of marketing- that its aim is to make selling superfluous, it is to know and understand the customer so well that the product or service fits and sells itself (Kotler et al 2005). Foster (2010) cautions that “it would be erroneous to suggest that all professionals that encounter these, and other advertisements for medication […] are passive recipients of the explicit and implicit representations contained within them” (p32). However, the same author goes on to remind analysts not to underestimate the power of advertising methods and the numerous ways in which they influence individuals at conscious and sub-conscious levels. The virtual absence of content related to mental health was an unexpected finding; especially given the significance that Gerada (2011) had attached to the issue in primary care referred to above. With one exception (Alzheimer’s disease), all articles and texts that were subject to analysis referred to physical health conditions only, making no mention of mental health conditions, either in the context of the occupational therapy role or in the context of a link between health and occupation. None of the advertisements analysed in RE2 were promoting medication to treat mental health problems. Foster (2010) had used mixed quantitative and qualitative methods to examine the differences between advertisements for psychiatric and non-psychiatric medication. That study found that advertisements for non-psychiatric medication were much more likely to contain images of people participating positively in activities of daily living, whereas advertisements for psychiatric medication tended to portray people in abnormal situations, in a negative way. This suggests that the discourse linking occupation to health and well-being may not have been as dominant had advertisements for psychiatric medication been present. NHS choices (2012) recommend that the GP is the first point of contact for patients experiencing mental health problems. The BAOT estimates that approximately one quarter of their members work in mental health settings (BAOT 2012). In England, it has been estimated that mental health conditions cost approximately £105 billion a year (Centre for Mental Health 2010), due to loss of earnings and associated treatment and welfare costs. Mental health has therefore been prioritised for economic as well as health related reasons. Considering these facts, the limited content regarding mental health issues has important implications for both the occupational therapist who wishes to remain in valued employment and for the service user. It suggests there may be a lack of consideration of mental health as a whole in media aimed at general practitioners, not just a lack of understanding about the role of occupational therapy in this setting. It is difficult to accept arguments that the general public should see mental health problems in the same light as any other health problem if mental health issues are not presented to general practitioners alongside other health conditions. The three previously cited studies that examined GPs’ perceptions of occupational therapy conducted in the 1990s all made similar findings regarding doctors’ and general practitioners’ perceptions about occupational therapy and mental health (Chakravorty 1993, Greenhill 1994, Darch 1995). All found that their general level of awareness about the role of occupational therapists was biased towards physical health. It is possible that the current study’s findings may suggest an enduring knowledge gap in GP’s general awareness of mental health issues and not only regarding the occupational therapy role with this client group. This issue merits further exploration given the estimation that about 30% of GP consultations have a mental health component (Kendrick and Simon 2008). Occupational therapists should welcome the finding that the profession is valued by general practitioners, especially with regard to physical conditions. Marketers are interested in attitudes and beliefs, as they affect buying behaviour (Kotler et al 2005). Emergent discourses suggest the attitude and beliefs of the target audience provides a solid foundation upon which to build awareness of the benefits of occupational therapy. Promotion of occupational therapy services to GPs should make use of the shared discourse, revealed in this research, that there is a link between heath and occupation. It must also be considered that “cultural factors exert the broadest and deepest influence on consumer behaviour” (Kotler et al 2005, p256). Occupational therapists should be mindful that the target audience views this link from within the medical model and within a distinct socio-cultural environment. Thus occupational therapists should endeavour to explain and evidence ways in which participation in occupations can be therapeutic in themselves and not only the outcome of other interventions. Occupational therapists and other professions should note that as GP led commissioning takes hold, they will be challenged to demonstrate the cost-effectiveness of their services, and that GPs may consider alternatives. A recent promotional leaflet produced by the BAOT (See fig. 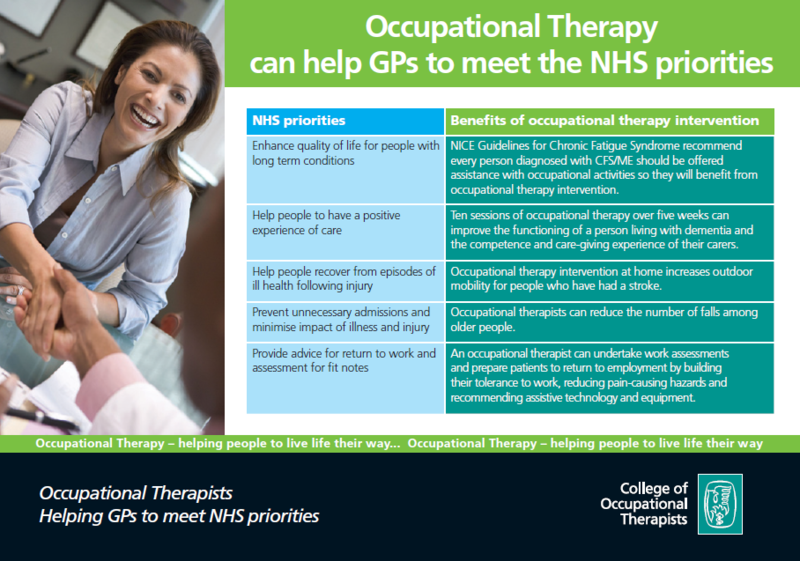 6) lists the NHS priorities occupational therapy can assist GPs to meet, however the socio-cultural level of analysis suggested that saving money is the fundamental NHS priority underpinning the health reforms, and though implied, this is not mentioned in the leaflet. Occupational therapists may need to present information about the efficiency of their services in a more explicit manner whilst also warning of the dangers of false economies and negative health consequences of failing to use the profession’s skills and expertise. There appears a pressing need for occupational therapists to promote their potential role in the area of mental health to general practitioners. The very limited content of information in the texts analysed (and in additional texts in the magazines) related to mental health issues point towards a wider debate than is beyond the scope of this article. What can be implied is the need for occupational therapists to promote the fact that their training enables them to provide therapy for people with mental health problems as well as physical health conditions. The flexibility of occupational therapists should be promoted so that their full skill set can be utilised and valued. There are a number of important limitations to this study that also suggest directions for future research. It needs to be stressed again that this study explored representations of occupational therapy and occupations in media aimed at general practitioners. Whilst this may influence and have some relationship to the actual views of GPs further study is needed to explicitly gather GP’s views and perspectives. It should also be acknowledged that this study drew on material from one publisher – albeit a leading one in the field that included much material written by a broad range of medical doctors. Further research using material from other publishers or professional bodies could investigate whether the discourses revealed this study are present in other sources. Comparison of how another profession is portrayed in similar media could be a valuable undertaking for future research. This, combined with a quantitative approach to examining the number of articles that discuss the interventions of other professionals could contribute rich comparative data. The fact that 13 articles in RE1 were written over a four year period did not account for the fact that many more articles did not mention occupational therapy at all. No quantitative analysis (e.g. counting the number of articles written in this period so a percentage of those that made reference to occupational therapy could be calculated) was undertaken. Time and word count restrictions meant that regrettably, some more minor discourses have not been reported and discussed in this article. E.g. occupation portrayed as a risk to health (article 4, RE2). These more subtle discourses would make for interesting topics of further research. The very limited content relating to mental health problems prompted an unanticipated discussion. Further research from an occupational perspective in this area would complement work such as Foster’s (2010), and provide relevant and worthwhile data for the profession in seeking to promote its potential to support people with mental health problems. The most frequent representation of occupational therapy was as a valued service. This finding should be welcomed by occupational therapists tasked with the promotion of the profession – which one could argue is all occupational therapists. Media articles aimed at general practitioners portrayed occupation as an important aspect of human life which could be limited by illness and enabled by medication. Those designing promotional material should also welcome this finding as it acknowledges the importance of occupation to peoples’ lives. However they should be mindful that this positive relationship between health and occupation was almost universally presented to GPs from within the medical model, and occupation was rarely portrayed as being therapeutic in itself. Thus occupational therapists should continue efforts to explain and develop the evidence for the therapeutic potential of occupations. There was found to be very limited consideration of mental health issues. Occupational therapists should acknowledge that their role in mental health may be less well understood than their role in a physical setting by the GPs to whom they are promoting their services. Occupational therapy is portrayed as a valuable service in medical media. 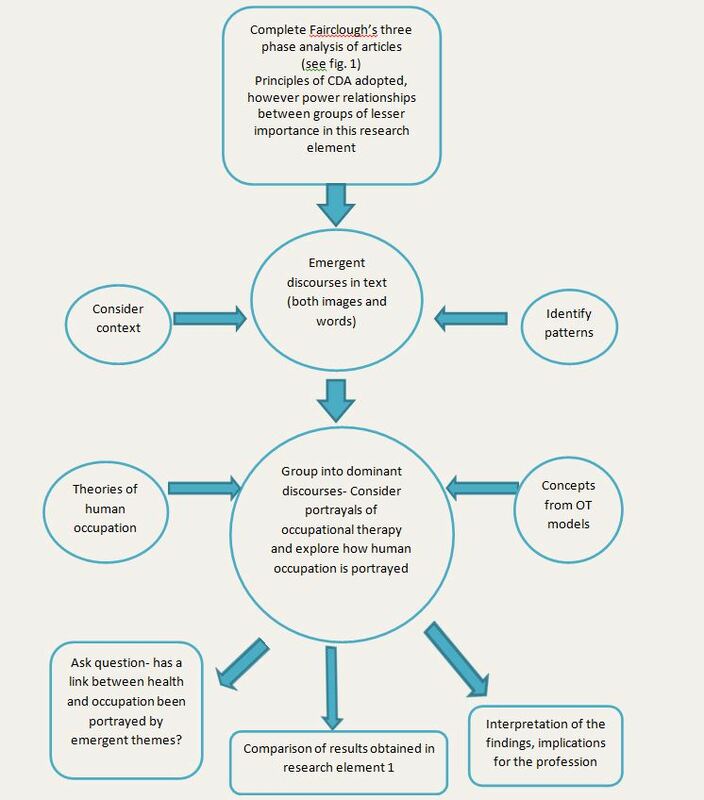 Occupational therapists should aim to develop acknowledgements of links between occupation and health in medical media. What the study has added: A useful insight using critical discourse analysis into how occupational therapy and occupations are portrayed in media aimed at general practitioners, who are key players in funding healthcare services. Annandale E, Hammarstrom A (2010) Constructing the “gender specific body”: A critical discourse analysis of publications in the field of gender-specific medicine. Health, 15(6), 571-187. Baum CM, Christiansen CH (2005) Occupational therapy: Performance, participation and well-being. Thorofare: Slack. BBC (2012) Q&A: The NHS shake-up. Available at: http://www.bbc.co.uk/news/health-12177084 Accessed on 03.06.12. Bell A, Garrett P eds (1998) Approaches to media discourse. Oxford: Blackwell. British Association of Occupational Therapists (2011) Promote and influence. Available at: http://www.cot.co.uk/promote-influence Accessed on 09.12.11. British Association of Occupational Therapists (2012) An introduction to the role of OT in mental health. Available at: http://www.cot.co.uk/mental-health/mental-health Accessed on 13.06.12. Cairns G (2012) Overhauling health: NHS reform, HIV and patient power. Available at: http://www.aidsmap.com/en/Email-a-friend/tpl/1412195/page/2310747/ Accessed on 04.08.12. Chakravorty BG (1993) Occupational therapy services: awareness among hospital consultants and general practitioners. British Journal of Occupational Therapy, 56(8), 283-286. Charlesworth A, Smith J (2011) NHS reforms in England: managing the transition. London: Nuffield Trust. Chouliaraki L, Fairclough N (1999) Discourse in late modernity: Rethinking critical discourse analysis. Edinburgh: Edinburgh University Press. Creek J (2000) Occupational therapy cannot be defined by one way of thinking or working- letter to the editor from Jennifer Creek. British Journal of Occupational Therapy, 63(8), 405. Darch G (1995) The future of occupational therapy in the world of GP fundholding. MSc. Cardiff: Cardiff University. Davidson L, Greblov G (2005) The Pharmaceutical industry in the Global Economy. Indiana: Indiana University Kelley School of Business. Fairclough N (1995) Critical discourse analysis, the critical study of language. Harlow: Longman. Finlay L (2004) The practice of psychosocial occupational therapy. 3rd ed. Cheltenham: Nelson Thornes. Fortune T (2000) Is our therapy truly occupational? Letter to the editor from Tracey Fortune. British Journal of Occupational Therapy, 63(7), 350. Foster JLH (2010) Perpetuating Stigma? : Differences between advertisements for psychiatric and non-psychiatric medication in two professional journals. Journal of Mental Health, 19(1), 26-33. Gerada C (2011) The Chair’s report to members 2010-2011. London: The Royal College of General Practitioners. Green J, Thorogood N (2009) Qualitative methods for health and social care. 2nd ed. London: Sage. Greenhill ED (1994) Are occupational therapists marketing their services effectively to the fundholding general practitioner? British Journal of Occupational Therapy, 57(4), 133-136. Hoey R (2011) GPs choose Pulse by a growing margin. Available at: http://www.pulsetoday.co.uk/newsarticle-content/-/article_display_list/12702180/gps-choose-pulse-by-growing-margin Accessed on 24.05.12. Kielhofner G (2008) Model of human occupation: theory and application. Baltimore: Lippincott Williams & Wilkins. Kendrick T, Simon C (2008) Adult mental health assessment. InnovAiT, from the Royal College of General Practitioners, 1(3), 180-186. Kotler P, Wong V, Saunders J, Armstrong G (2005) Principles of marketing. 4th (European) ed. 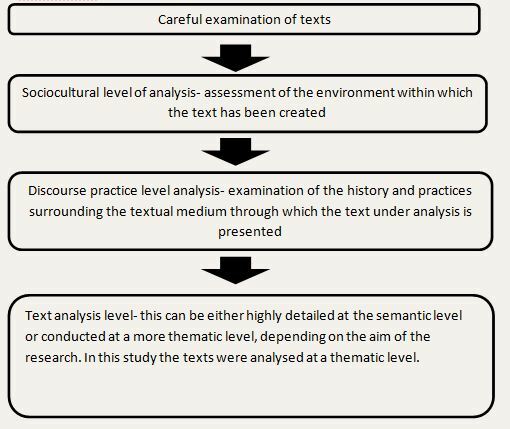 Essex: Pearson education ltd.
Lillis T, McKinney C (2003) Analysing language in context, a student workbook. Trentham books: Stoke-on-Trent. Lo-Bartolo L, Sheahan M (2009) Industrial relations reforms and the occupational transition of Australian workers: A critical discourse analysis. Work, 32, 407-415. NHS choices (2012) Find mental health support. Available at: http://www.nhs.uk/Livewell/mentalhealth/Pages/gethelp.aspx Accessed on 05.07.12. Nyman SR, Hogarth HA, Ballinger C, Victor CR (2011) Representations of old age falls prevention websites: implications for likely uptake of advice by older people. British Journal of Occupational Therapy, 74(8), 366-374. Pattison N (2006) A critical discourse analysis of provision of end-of-life care in key UK critical care documents. Nursing in critical care, 11(4), 198-208. Pemberton M (2008) Trust me, I’m a junior doctor. London: Hodder and Staughton. Pottebaum JS, Svinarich A (2005) Psychiatrists’ perceptions of occupational therapy. Occupational Therapy in Mental Health, 21(1), 1-12. Reeves S, Macmillan K, Van Soeren M (2010) Leadership of interprofessional health and social care teams: a socio-historical analysis. Journal of Nursing Management, 18: 258–264. Smith JL (2006) Critical discourse analysis for nursing research. Nursing Inquiry, 14(1), 60-70. Taylor MC (2007) Evidence-based practice for occupational therapists. 2nd ed. Oxford: Blackwell. Taylor K (2011) Letter to the editor. OT news, 19(10), 4. Townsend EA, Polatajko HJ (2007) Enabling Occupation II: Advancing occupational therapy vision for health, well-bring and justice through occupation. Ottowa, ON: CAOT. UBM Medica (2011) Pulse media pack 2011. London: UBM Medica. UBM Medica (2012) Pulse in the news. Available at: http://www.pulsetoday.co.uk/article-content/-/article_display_list/11012068/pulse-in-the-news Accessed on 25.05.12. Urbaniak GC, Plous S (2011) Research Randomizer (Version 3.0) [Computer software]. Available at: http://www.randomizer.org/ Accessed 19.04.12. Van Dijk TA (2011) Discourse studies, a multidisciplinary approach. 2nd ed. Sage: London. Wilcock A (2005) 2004 CAOT Conference Keynote Address- Occupational Science: Bridging occupation and health. Canadian Journal of Occupational Therapy, 72 (1), 5-12. This essay will provide a critical analysis of ‘Experiences of family carers of older people with mental health problems in the care of acute general hospital: a qualitative study’ (Clissett et al 2013). This article has great relevance to my role as a student paediatric nurse, acknowledging the effects that ill health and the hospital environment can have on, not only the patient, but the family/carers around the patient, demonstrating the importance of family centred care. On completion of analysis, I will demonstrate my understanding of qualitative research and the processes that are involved when collecting and analysing data. Ethical and legal issues will be considered to establish the quality, strengths and limitations of the article. A framework, developed by Caldwell, Henshaw and Taylor (2005) will be used to support my analysis, allowing me to develop a deeper understanding of the research process and appreciate how research can benefit my practice in the future. The NMC Competencies (2010) state that ​‘All nurses must appreciate the value of evidence in practice, be able to understand and appraise research, apply relevant theory and research findings to their work, and identify areas for further investigation’ (NMC 2010). Holloway and Wheeler (2010) suggest that qualitative research focuses on society and how people perceive and interpret their own, individual experiences. Using this approach to analyse family/carer experiences, allows the researchers to gather a range of specific, in-depth perspectives, to develop inductive reasoning. However, in order to do this successfully, Holloway and Wheeler (2002) recommend that research should be related to that of the profession of the authors. Based on the title of the article, the credibility of the authors and the expertise they have, regarding health care and the older generation, I believe they are a reliable source in establishing this research. The abstract, according to Holloway and Wheeler (2010), should provide a brief overview of the aim, background, the methods, a summary of results and their potential to influence practice. This abstract provides just this. The aim provides a clear outline of what the paper sets out to accomplish, which is rationalised and supported by the background information. The background distinguishes the implications for practice and the importance of working with families when caring for patients with cognitive impairment, ensuring they receive the best possible care. The design and methods chosen by the authors provides an insight into the strategies used to develop the concepts. With the use of semi-structured interviews and Strauss and Corbin’s framework, the reader can expect to discover legitimate experiences from the participants. The findings reflect this by using quotations from the participants. They proposed that family carers either ‘valued the support of hospital staff and services, or were highly critical of the care provided’ (Clissett et al 2013). These opposing experiences entice the audience to continue reading to discover the reasons for the conflicting views. The conclusion then delivers the key elements family carers of cognitively impaired patients respond to in the hospital environment, thus supplying and enhancing knowledge for nurses, improving practice within this specific field. Holloway and Wheller (2002) highlight the importance of relating research to clinical practice in order to benefit and enhance health professional’s knowledge and competencies. On consideration of the statistics found in the introduction, they prove great significance to clinical practice, considering over half of 70 year olds have cognitive impairment. However, the term cognitive impairment is such a broad term, that it is hard to categorise at what stage their conditions has an impact on practice, the nurse’s role, the patient and the carers. The terms delirium and dementia have been cited in the introduction, which leaves the study open and flexible to adverse participant involvement, though this contradicts the title, focusing primarily on cognitive impairment. The Alzheimer’s Society (2013) defines cognitive impairment to be a condition that affects an individual’s ability to think, know and remember. Although these symptoms have the same qualities as dementia, cognitive impairment is not severe enough to be classed as dementia, however, they suggest that this condition could advance to such diagnosis. The Royal College of Psychiatrists (2011) describes delirium to affect the mental state of an individual, causing confusion, due to becoming mentally unwell. So although these all affect mental health, cognitive impairment, dementia and delirium are not classified under the same diagnosis, which leaves the reader to feel unsure of the direction of the paper. This uncertainty is portrayed throughout the paper, identified in the background, aim and design. Streubert and Carpenter (2011) suggest that, in the background, a justification is needed of how and why the chosen subject is of importance to research and practice. The background has provided rationale for the study, with reference to the challenging environment of acute care and acknowledgment of the positive influences family carer’s have on the dementia patient. It recognises that other relevant studies have been completed with regards to family carer experiences in the acute area, none of which have focused on cognitive impairments. With reference to the statistics in the introduction, this research shows significance to health care practice and can be used in conjunction with the existent related literature, which it has aimed to achieve. As mentioned previously, the term cognitive impairment is a vague statement, however, using the word ‘explore’ within the aim allows, to an extent, some flexibility. On consideration of the full aim, the main principle is to understand the experiences of individual carers. These experiences cannot be predetermined from the authors, so the aim cannot be truly specific because not every patient is going to be in the exact same situation. However, the design does provide specificity, proposing the research will help professionals ‘understand the world from the perspective of the person with dementia…interpret and evaluate the experience of older people and their carers’ (Clissett et al 2013). Using the word dementia does imply that the focus of the study will be primarily of patients with this disease, which narrows the criteria and spectrum of participants to be involved. The design indicates that the approach used to develop research was based around ethnography, which is defined by Holloway and Wheeler (2010) to be a way of investigating behaviours and experiences. Triangulation was used to assess the experiences of family carers in hospital. The use of observations and semi structured interviews to individual participants. Flick (2009) encourages this combination when collecting data because it allows researchers to review from different perspectives, deliberating on subjective knowledge and experience, resulting in a detailed analysis, helping to support rigour. However, there is no evidence suggesting that consent has been obtained for the non-participant observations. Green and Thorogood (2009) suggest that gaining consent prior to observational studies can be problematic. Although researchers want to observe participants in a natural environment, they should be informed of the research aims, objectives and contact information should be issued before involvement. The setting and sample is introduced through reflection of a similar, larger study, which causes the reader to become disengaged with the prominent study. The setting and sample is not explained until the end of the second paragraph. The analysis of the larger study, I feel, is not necessary in this section. If the authors feel it has relevance to their study, I believe it should be mentioned in the background. During the sampling stage, ethics were considered. Under section 32 of the Mental Capacity Act (2005) they have taken ethical steps to retrieve consent from participants. Section 32 of the mental capacity act (2005) states that if an approved research project is being conducted and the participant lacks capacity to consent, anyone that is involved for caring for the patient or is interested in the patients welfare and is willing to be consulted by the research under the section, can consent. Due to the context of the paper, any carers involved in the process are eligible to consent for themselves and their family member, if they are not competent in doing so. However, cited at the end of the setting and sampling section, it discloses that out of the 34 participants, 15 of them had one or more mental health problems of their own, which poses the question, did they have the capacity to consent? Holstein and Gubrium (2003) confirm that the interview process shapes the information received for data collection and analysis. The authors have completed the interviews at the participant’s homes. Allowing them to be in their own environment may have resulted in a more in depth, accurate interview because they felt comfortable and in control of the process, making the situation less daunting. However the interviews lasted between 20 minutes and 2 hours which could suggest that some carers were more open and honest about their experience. The use of semi structured interviews encourages participants to reveal their own personal experiences, yet still enables the researcher to guide the interview in the right direction. The use of grounded theory supports this notion. Grounded theory was used as an approach to interview. Willis (2007) states that grounded theorist initiate the interview process by using general and broad questions. As the interview progresses, the questions then become structured around the individual participant. All of the interviews were audio recorded. Silverman (2003) suggest that the use of tapes allows the researchers to relive the interviews, comprehend the right information, providing in-depth and systematic analysis. However, the interviews were not returned to the participants for checking, which Clissett et al. (2013) provides no rationale for. This could be due to the fact that once the interviewees had time to reflect on their experiences, their perspectives could have changed, affecting the results. Bradbury-Jones (2007) specifies rigour to determine whether the qualitative research is methodical and thorough, however, focusing too much on the reliability of the data during data collection can deter creativity and development of the study. Holloway and Wheeler (2002) identify that researchers may find it difficult to agree to the validity and trustworthiness of research, which may show reflection in the broad spectrum of agreement in this paper (68-98%). These discrepancies are not due to preconceived, biased opinions of care in the trust, because none of the researchers involved had a clinical role at the hospitals. A theoretical approach was taken during data analysis. Charmaz (2003) suggest that using the theoretical approach allows grounded theorists to: ‘(i) gain rich data (ii) fill out theoretical categories (iii) discover variations within the theoretical categories, and (iv) define gaps within and between categories’ (Charmaz 2003). Applying this approach to the experiences of carers allows themes to emerge and develop, which are represented in the results. The word ‘disruption’ was a key theme established in the results. Clissett et al (2013) explained that disruption was chosen because of its varied meaning. However, they contradict themselves by giving a patronising definition of the word, when the term is subjective to each participant. Positive and negative accounts of care and coping strategies were all established in the results, which were supported by quotations from the interviews. Although these provide a greater insight in to the results, they were too long and repetitive. The non-participant observations were touched upon to support the findings, suggesting that the ‘hospital processes were perceived as disruptive….the department was seen as a chaotic place’ (Clissett et al 2013). The use of the words ‘perceived’ and ‘seen’ demonstrates that the researchers are not just interpreting what the interviewees had said, but they are commenting from an outsider’s perspective. In the discussion there are again, many references to other studies, which seemed unnecessary. However, some were deemed to be relevant, with reference to the studies that suggest long visitations can affect the health and mood of the carers, which could have contributed to the negative experiences. The overall discussion of the primary study is comprehensive, but I feel the bullet pointed summary, sums up the key points in a clear manner, rather than the main discussion itself. One significant limitation identified was the lack of participants. They state that data saturation occurred, however I don’t believe with this number, that any sufficient claims can be made. One way of rectifying this could have been to broaden the spectrum for data collection. Only two hospitals were involved, which were within the same trust. If more hospitals were considered around England, then this would have made the sample and results more rigorous. Time lapses and relationships between carers were also a problem when completing the research. However if interviews took place sooner, due to their situation and vulnerability, it may have been viewed as invasive and disrespectful. The conclusion identifies the key attributes that need to be adopted by nurses in order to improve family centred care. The importance of triadic nursing has been highlighted throughout, recognising the involvement of family carers and how their expertise can be used to benefit the care of the patient. All of the suggestions to improve care are transferable and achievable within practice. I believe the conclusion to be beneficial to all nurses, regardless of the field or area they work in. Communication is fundamental when working with any patient and family, so although this paper has primarily focused on patients with mental health conditions, the findings can be used in every aspect of nursing. I believe this paper will have an impact on my personal education and practice. As a paediatric nurse, The Nursing and Midwifery Council (2013) state that we should ‘Acknowledge the role of siblings, other family members and friends in the lives of children and young people and the effect that illness or disability may have on them. Work positively with siblings and friends for the benefit of the child/young person’ (NMC 2013). Clissett et al (2013) have produced a paper that is specific for one area; however I believe the results prove to be transferable in all health professions. Bradbury-Jones, C. 2007. Enhancing rigour in qualitative research: exploring subjectivity though Peshkin’s I’s. Journal of Advanced Nursing 59 (3): 8-290. Caldwell, K. L. Henshaw and G. Taylor. 2005. Developing a framework for critiquing health research. Journal of Health, Social and Environmental Issues 6 (1): 45-54. Charmaz, K. 2003. Inside Interviewing New Lenses, New Concerns. California: Sage Publications, Inc.
Clissett, P. et al. 2013. Experiences of family carers of older people with mental health problems in the care of acute general hospital: a qualitative study. Journal of Advanced Nursing 70 (1): 2707-2716. Green, J. and N. Thorogood. 2009. Qualitative Methods for Health Research. 2nd ed. London: Sage Publications Ltd.
Holloway, I. and S. Wheeler. 2002. Qualitative Research in Nursing. 2nd ed. Oxford: Blackwell Science Ltd.
Holloway, I. and S. Wheeler. 2010. Qualitative Research in Nursing and Healthcare. 3rd ed. West Sussex: Wiley-Blackwell. Holstein, J. A. and J. F. Gubrium. 2003. Inside Interviewing New Lenses, New Concerns. California: Sage Publications, Inc.
Silverman, D. 2003. Collecting and Interpreting Qualitative Materials. 2nd ed. California: Sage Publications, Inc.
Streubert, H. J. and D. R. Carpenter. 2011. Qualitative Research in Nursing: Advancing the Humanistic Imperative. 5th ed. Philadelphia: Lippincott Williams & Wilkins. Willis, J. W. 2007. Foundations Of Qualitative Research. California: Sage Publication, Inc. Academic elitism: do universities contribute to the patient-nurse divide? It could be argued that the historical templates for the academic model were shadowy societies such as the Freemasons or the Pythagorean Brotherhood (Encyclopaedia Britannica, 2015) who considered themselves responsible for the guardianship and careful dissemination of powerful and secret knowledge to trusted initiates. This binary thinking, a division between those who have the knowledge and the ignorant who do not, may be replicated in perceived academic and intellectual divisions between doctors, nurses and service users (Davies, 2003). The currently dominant biomedical model elevates specialist knowledge (Nettleton, 2006) and an aura of professional infallibility (Obholzer, 2003). It may serve to create a divide between service users and those responsible for their care (Hall, 2013). It may also be a factor in the development of a role divide between nurses and doctors (Ritchie, 2013) based on traditional patriarchal professional medical identity (Davies, 2003). A major challenge to the development of therapeutic patient-practitioner relationships may be the use of technical jargon and acronyms (Beattie, 1994; Charlesworth, 2003; House of Lords, 2000; Naidoo & Wills, 2010; Pyper et al, 2008). The nursing graduate course, heavily reliant on the completion of academic assessment may serve to encourage the use of such complex language, challenging professional boundaries between nurses and doctors but accentuating barriers between nurses and service users. All nursing is becoming more technical (Stein-Parbury, 2009) with the result that nurses may need increased intellectual resources to integrate the required technical competence with traditional nursing skills (Beasley, 2011). Nursing has only recently become a graduate profession and detractors question the need for increased academic demands for nurses, arguing that this may impact on the care component of the nursing role. There appear to be no such questions, however, over the perceived levels of educational attainment required for doctors (Ritchie, 2013). The growth of globalisation may present challenges to nurses (Hussein et al, 2011), requiring increased cultural competence to ensure the provision of appropriate, culturally-sensitive care (Gorton & Hall, 2013). Nurses are expected to advocate for patients (MacDonald, 2006) as well as acting as conduits for information between patients and doctors. User movements and the widespread availability of information via the internet are contributing factors in the increasing levels of patient sophistication which may challenge patient-practitioner power imbalances (MacKian, 2010; Florin et al, 2008; Kangasniemi et al, 2010), placing further demands on nurses to be able to engage appropriately with patients, answering questions relating to treatment and supporting patients to make informed choices about the care they expect or are willing to receive. It appears that there is little question over the need for enhanced levels of educational attainment to allow nurses to fulfil the varied aspects of their role. Technical and cultural competence, the need to act as interpretive intermediary between doctor and patient and an ability to discuss treatment and care with often increasingly sophisticated patients or carers all indicate that the nursing field requires elevated levels of study and training. However, nurses may need to concentrate on finding a balance between the academic language supporting the specialist knowledge required to manage in an increasingly complex workplace and the need to be able to communicate and engage effectively with patients on an inclusive and equal level. Caution may be required to ensure that the linguistic elitism which may be produced by exposure to a graduate program with its focus on academic assessment does not ultimately create barriers between nurses and their patients. Beasley, C. 2011. The heart of nursing: past, present and future, British Journal of Nursing 20(22) 1407. Beattie, A. 1994. Healthy alliances or dangerous liaisons: the challenge of working together in health promotion. In: Going interprofessional: working together for health and welfare, edited by A. Leathard. London: Routledge. Charlesworth, J. 2003. Managing across professional and agency boundaries. In: Managing care in practice, edited by J. Seden and J. Reynolds. London, Routledge/Milton Keynes, The Open University. Davies, C. 2003. Workers, professions and identity. In: Managing care in context, edited by J. Henderson and D. Atkinson. London: Routledge/Milton Keynes: The Open University. Encyclopaedia Britannica (2015) ‘Pythagoreanism’. Available at: http://www.britannica.com/EBchecked/topic/485235/Pythagoreanism Accessed 10/02/15. Florin, J., A. Ehrenberg and M. Ehnfors. 2011. Clinical decision-making: predictors of patient participation in nursing care. Journal of Clinical Nursing 17 2935-2944. Gorton, V. and C. Hall. 2013. Nursing as a global activity. In: What is Nursing? : Third Edition, edited by C. Hall and D. Ritchie. London: Sage. Hall, C. 2013. Theory and practice: understanding the nature of nursing as a caring activity. In: What is Nursing? : Third Edition, edited by C. Hall. and D. Ritchie. London: Sage. House of Lords (Select Committee). 2000. Select Committee on Science and Technology: Sixth Report. London: The Stationery Office. Hussein, S., J. Manthorpe and M. Stevens. 2011. The experiences of migrant social work and social care practitioners in the UK: findings from an online survey, European Journal of Social Work, 14(4), 479-496. Kangasniemi, M., K. Viitalahde and S. Porkka. 2010. A theoretical examination of the rights of nurses. Nursing Ethics 17 628-635. MacDonald, H. 2006. Relational ethics and advocacy in nursing: literature review, Journal of Advanced Nursing 57(2) 119-126. MacKian, S. 2010. Understanding power and participation for people who use services. In: Exploring power and participation, edited by The Faculty of Health and Social Care. Milton Keynes: The Open University. Naidoo, J. and J. Wills. 2010. Developing Practice for Public Health and Health Promotion: Third edition. Edinburgh: Bailliere Tindall Elsevier. Nettleton, S. 2006. The Sociology of Health and Illness: Second Edition. Cambridge: Polity Press. Obholzer, A. (2003) ‘Managing social anxieties in public sector organisations’. In: The managing care reader, edited by J. Reynolds, J., Henderson, J., Seden, J., Charlesworth and A. Bullman. London: Routledge/Milton Keyne: The Open University. Pyper, C., J. Amery, M. Watson and C. Cook. 2008. Patients’ experiences of accessing their electronic patient records. In: Understanding Health and Social Care: An Introductory Reader, edited by J. Johnson and C. De Souza. London: Sage/Milton Keynes: The Open University. Ritchie, D. 2013. The professional nurse: image and values in nursing. In: What is Nursing? : Third Edition, edited by C. Hall. and D. Ritchie, London: Sage. Stein-Parbury, J. 2009. Patient and Person: Fourth Edition. Sydney: Elsevier. From lived experience to poststructural voice: Some implications for the use of autoethnography in mental health research. Controlling birth? Relationships between midwives, women, and the medical profession in England, 1960-1992. 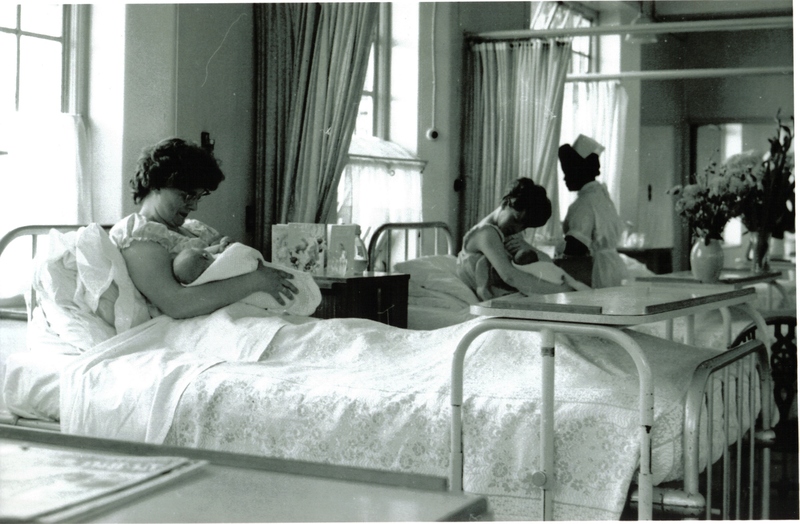 This paper will explore the changing nature of relationships between midwives and women in urban England between 1960 and 1992, and is part of a larger study on the history of maternity in twentieth century England. The paper uses interviews with midwives and members of maternity consumer groups, as well as contemporary documents, to argue that two developments over the period had a significant impact on the ability of midwives to relate to the women in their care. Each was seen particularly in urban areas, and was in response to the demands of an urban ‘elite’. The first was the push by specialist obstetricians for the use of hospitals for birth, and for the use of technology for diagnostic and therapeutic purposes. The second was the foundation of consumer groups which focused on the experience of the childbearing woman. Both developments were predicated on the belief that the prevailing system of maternity care was flawed and potentially dangerous, and both sought vigorously to change the experience of pregnant and birthing women. Furthermore, the development of consumer groups, often as a direct result of the perceived impact of the medicalization of birth, eroded the relationship between women and midwives by implying that they were working towards different goals. Evidence suggests that midwives attempted to neutralise, or even come alongside women in these debates. 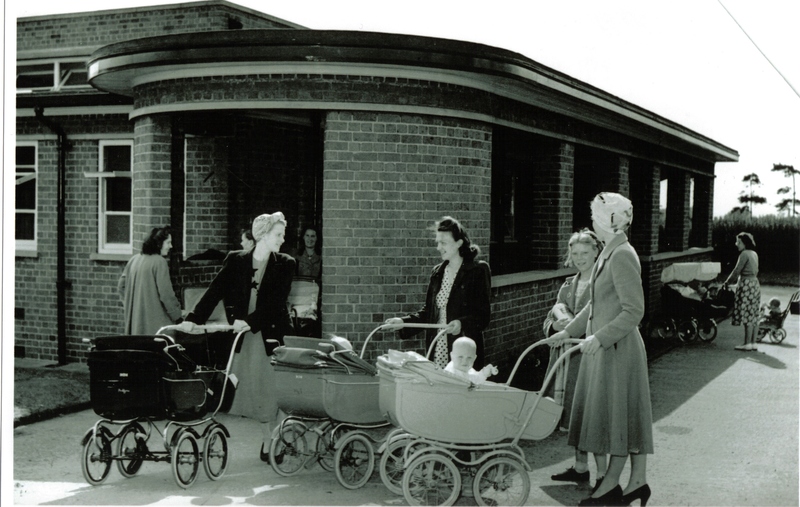 Ultimately, however, the voice of the urban consumer and the medical elite had a decisive impact not only on how midwives came to describe their work but also on the rhetoric and policy of government in the area of maternity services. The path of maternity care in England between the 1960s and 1980s therefore seems clear. Hospital births outstripped home births, and maternal and perinatal mortality rates fell; obstetricians, and through them government documents, suggested a direct causal link. This is not the paper to discuss the merits of this argument; much work has been done by researchers suggesting that home births were never more risky than hospital births, and also that supposed links between hospital deliveries and mortality rates are coincidental at best (Tew, 1990). This paper will, however, explore the striking impact that women – as service consumers – had on the way arguments were framed, and ultimately on government policy. The language they used was not only very different, but increasingly influential. In the vanguard of this revolution in the debate about birth were well -off women living in urban areas; arguably, from a public health point of view, the group who had least medical need of specialist services. Feminist critiques of the history of birth have tended to suggest an oppositional relationship between (male) doctors and (female) service users in the post-war period with doctors using the language of risk and safety to coerce women into accepting high technology institutional births (Donnison 1988; Oakley 1980; 1984). Birth in hospital was led and controlled by doctors, with writers such as Oakley arguing that women were more or less tricked into giving up their hegemony over their experience. However, the evidence demonstrates that this was never the whole story. In urban areas, including Nottingham, Birmingham, Sheffield and parts of London, demand for hospital births by women always outstripped the availability of beds (McIntosh 2012). Midwives in Sheffield and London recommended women to book their hospital bed for birth within the first few weeks of pregnancy. Similarly in Nottingham and Derby the local health authority fought a rear guard action to remind women of the advantages of home birth over hospital birth, to little avail (McIntosh 2014). In 1960, there was a debate in London about whether all women should have access to hospital beds; this was not for medical reasons but because women increasingly felt that they were ‘entitled’ to a hospital bed. The argument was made that women should be allowed to have their babies at home, but not forced to if they preferred hospital, and it was noted that these women tended to be ‘highly intelligent and provident women’ (TheTimes 12.2.1960). Looking back on the period, Jean Robinson, a campaigner for women’s rights in childbirth, argued that it was the ‘articulate middle class’ who got hospital beds even in times of shortage, because they booked early and believed the rhetoric about safety, and had the confidence to ask for what they wanted (interview with the author). She initially tried to call her group ‘the Society for the Prevention of Cruelty to Pregnant Women’, although was soon persuaded to change this for something with less negative connotations. Both Willington, and Patricia Briance who set up NCT, had personal experience of hospital maternity care, both came from comfortable intellectual middle class backgrounds, and were comfortable using the language of ‘rights’. Briance later argued that ‘You cannot possibly imagine what it was like back then in fifties, we knew nothing about having a baby and there was no one to tell us; no books or magazines that told you what to expect’ (The Independent 26.04.1996). No mention of midwives or of doctors; she offered a view that was not only stark but that reflected a particular agenda. A woman would expect to get information herself, not rely on professionals; both AIMs and NCT developed the concept of women not as patients but as consumers of the maternity services. From the beginning, AIMs in particular was adept at harnessing the power of argument whether through letters to MPs, evidence to local committees, or talks to women’s groups. It boasted as members school teacher and welfare workers as well as consultants, surgeons and psychologists, and was granted an audience at the House of Commons just a year after coming into being (The Times 06.02.1961). Similarly, the NCT was good at making and using its contacts. In 1963, an interview with Betty Parsons, a teacher with the NCT commented on the ‘cordial relationship she has built up within the medical profession’ and a book she wrote on antenatal exercises had a ‘very complimentary’ Forward by John Peel, the President of Royal College of Obstetricians and Gynaecologists (who was later to Chair the committee calling for hospital beds to be available to all women) (The Times 01.04.1963). As Sheila Kitzinger – another childbirth campaigner and wife of an Oxford Don – remarked in interview, it was the relationships with Doctors that meant things got done (interview with the author). She commented very favourably on relations between herself and the obstetricians at the John Radcliffe Hospital in Oxford. Jean Robinson, who campaigned against unnecessary inductions of labour in the 1970s through AIMs, also spoke of her contacts; consultants in both London and Oxford. Clearly socially these women were on the same level as the doctors and politicians they dealt with and contacts could be informal and non-threatening. This gave them influence and power in developing and selling their view of childbirth. The same often applied to the women who joined the NCT and AIMs or who used their services. One of the primary functions of the NCT was to run ante-natal classes in relaxation and childbirth preparation for women and their partners. As Betty Parsons commented, many of the lessons she gave were private one-to-one lessons; even the group sessions cost money. Nearly twenty years later Janet Balaskas, who had started off as an NCT teacher but now ran her own Active Birth movement in North London agreed that the women she dealt with belonged to a privileged group (interview with the author). However she argued that ‘Women like us can help effect changes for other women who don’t have our opportunities.’ Choosing to take lessons in natural or active birth was a huge commitment for women not just in terms of money, but time as well. One commentator explained in 1964 that a course of classes usually consisted of eight two hour sessions, plus daily practice, in order to be properly ‘trained’ (The Times 06.04.1964). This clearly was out of the reach of many women. The same commentator explained, rather scathingly, that although some classes were beginning to be offered on the NHS, a couple of sessions were not going to replicate the intensity needed to achieve success. The issue of power and control is also clear during the early years of both AIMs and NCT. Women were only allowed to attend NCT classes if they had the permission of their doctor. The career of Janet Balaskas in many ways sums up some of these issues. She was radicalised by her own experiences of pregnancy and birth; shocked by what she felt was the medicalization of the English system she was in a position to return to her native South Africa to deliver. Even there, she asked permission of the doctor to have a natural birth. On her return, she trained as an NCT teacher, but was disillusioned with their continued acceptance that women should passive in labour and lie on their backs to deliver. In response she turned to yoga and began to develop what she described as ‘active birth’; encouraging women to stand and move for labour and squat for delivery. At this point she parted company with NCT because they considered her work ‘unproven’ and too ‘radical’ – in her words. In interview she talked about organising a rally in 1982 to protest at the refusal of the Royal Free Hospital in north London to allow women to have active births. She estimated that about 5000 people attended (Kitzinger suggested about 2500); including the wife of a member of Pink Floyd who donated stage and speakers, and the newsreader Anna Ford. At this point only two hospitals, both in well-heeled west London, and independent midwives offered active birth. Balaskas talked about change being incremental and word of mouth which only works in a tight geographical area; her classes still run in the same area of North London. In interview Sheila Kitzinger used the language of control to describe the types of women attending NCT classes – ‘Mostly educated women. Women who were concerned about taking control of their lives and often it wasn’t just childbirth but other areas too that they were concerned with.’ The NCT and AIMS both developed a more radical agenda in the 1970s and 1980s, they increasingly argued against the use of technology. 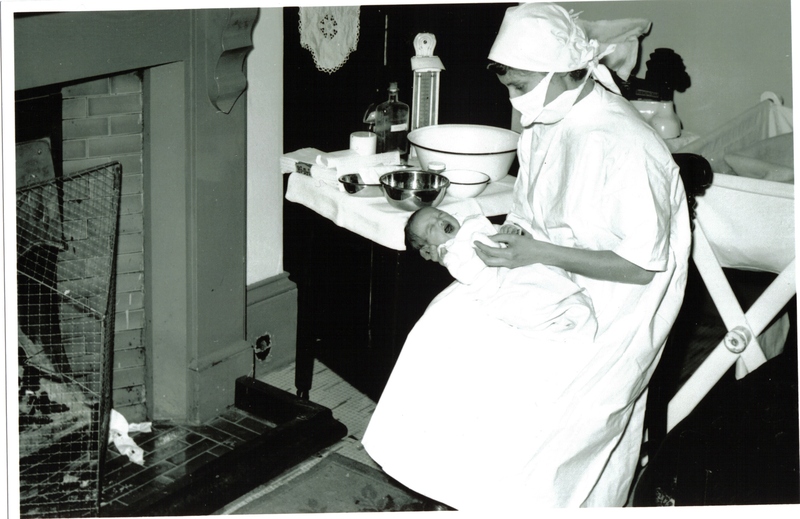 Although safety was always central to the rhetoric of the maternity services, and was particularly used to promote hospital birth and the use of technology, certain groups of women began to use different criteria to inform their experience of pregnancy and birth. This was partly based on personal experiences of technologically mediated birth. The language of feminism seems also to have been significant to many women in terms of the rights and control that they demanded over their own bodies. Equally important was the drive by some women for birth to be seen a psychological event as much as a physical one. Kitzinger described the process of engagement with policy; radicalisation of women through demonstrations was one thing, real progress came through the media and through Government. She described learning to ‘…manage the media is a bit strong but learning to communicate with the media and express yourself with the media is a specific skill…’ She also talked about putting pressure on Parliament, and getting questioned of MPs and by MPs. These were all particular class and social skills, and Kitzinger and others argued that the work they did made a difference to all women. As Balaskas commented, birthing pools and space to practice active birth are now encouraged in NHS facilities and supported by midwives; this could be seen as the positive impact of the work of an elite. However, it could also be seen as at best an irrelevance; women from low income backgrounds and ethnic minorities continued to have the highest rates of perinatal and maternal morbidity and mortality; birthing balls and pools made little impact on their needs for responsive care (Confidential Enquiry Reports). Relationships between midwives, doctors and women were complex, and the stories told about maternity care from each perspective do not always tally. To women, midwives and doctors could be cold and bossy, or deeply warm and caring. To the midwife, women could be unnecessarily demanding or laughably ignorant. Both groups used shorthand and concepts of heroic attitudes or behaviour to describe characteristics of the other, in a way that made sense and made a complex and symbiotic relationship more manageable. Certainly there were groups of midwives who were instrumental in developing a radical language and in working alongside women, in particular the Association of Radical Midwives which was formed in 1976 by a group of student midwives, who themselves felt oppressed by the system under which they worked. In terms of change, however, their efforts were dismissed by some of the consumer campaigners; Kitzinger argued that they were not a major influence on changes in maternity care, although Balaskas said that she would always support the right kind of midwife; one not driven by fear or policy. Well many midwives were very authoritarian and thought that it was a sort of games mistress approach almost, that you had to behave yourself as if you were on a hockey field and obeyed the rules, otherwise everything would go to pot. One midwife, Jenny, who worked in Nottingham in the 1970s and 1980s said that she felt relationships between women and midwives were good in the 1970s because ‘They didn’t have the expectations that they have now, and trusted you I think probably.’ The move from ‘patient’ to ‘consumer’ affected midwives because they felt their professional status was being eroded. Littleford described the impact that this had on their work and on their professional standing; ‘I think the women’s and families expectations were far greater than we could ever provide.’ This she attributed to Government policy and to the demands of women, but also the squeeze between expectations and the ability of the service to cope. This included not just lack of staff and equipment, but lack of respect by doctors, particularly in the large teaching hospitals, for the work that midwives did. Littleford felt midwives were regarded as pliable handmaidens both by doctors and increasingly by some women; and that their demands could be incompatible. Within the rhetoric of urban consumer groups and radical midwives there was no attempt to include the voices or needs of non-middle class members of the community such as women from low income families, refugees, teenage mothers or single mothers. Mavis Kirkham, who worked as a hospital midwife in Sheffield in the 1970s, described consciously deploying ‘nice middle class’ couples to pioneer partners being present in theatre for elective caesareans. Within her work, she spoke of ‘misfits’ coming together; not just midwives who did not fit the system but women as well. Again, she argued that change came incrementally; through individuals attending antenatal classes, or booking with a certain community midwife. In many ways these were still an elite self-selected group; women who were articulate and well-read and confident enough to demand a particular kind of care. In contrast, Oakley’s work on the experience of first time pregnancy and motherhood, conducted between 1975-6, demonstrates that women continued to be accepting of the system as it was (Oakley 1981; see also Cartwright 1979). This was not to say they were always happy with it, but they had no language for criticising the system, and no sense that they could change it. McIntosh (1989), in a study of motherhood on urban Glasgow, found that women did not invest the act of birth with huge significance; it was only a tiny part of the larger experience of motherhood. These were ordinary women living in an urban environment; not people with the confidence to right to MPs or the money to buy into a philosophy such as active birth. The consumer movement in maternity really developed from the 1960s onwards, and had a significant impact on the language and beliefs around birth by both policy makers and professionals. The evidence suggests that urban elites who developed consumer groups in maternity had an influence on the discourse around pregnancy and birth beyond their numbers. This included debates around the types of care offered; hospital birth, the use of technology and the development of active and low tech births. Although the arguments around active birth have been foregrounded in this paper, some women also campaigned for greater access to induction of labour and the provision of epidurals. The consumer voice was always complex and multifaceted. Similarly successive governments, taking their cue from obstetricians, had used medical concepts of ‘safety’ and ‘risk’ to frame policy since the early 1960s. However from the 1990s policy makers began to use phrases such as ‘choice’ and ‘control’ in relation to maternity which consumer groups had been using for twenty years. Arguably women did begin to take control of childbirth across the period, but in a way which spoke to a small, elite, cross-section of society. Although some midwives developed their own radical agenda around birth, for others the voice of the consumer represented a threat to their sense of professional identity and confidence. The move to hospital birth and demands for different kinds of birth marginalised the role of midwives, leaving them sandwiched between doctors and women. Butler, N.R. and Bonham, D.G. (1963) Perinatal Mortality: The First Report of the 1958 British Perinatal Mortality Survey, under the auspices of The National Birthday Trust Fund, London: E. & S. Livingstone Ltd.
We are a group of mental health nursing students aiming to create a therapeutic network to support students and professionals in practice. We intend to provide a forum for open discussion and debate over practical and ethical issues relating to mental health theory, practice and service delivery. Our network is intended to be multi-disciplinary and is open to all who work, study or simply have an interest or experience in the mental health field. We appear to be at a time of great changes in the medical profession (Beasley, 2011; Lee & Fawcett, 2012) and nursing needs to find its own professional identity to develop and embrace those changes (Beasley, 2011; Clarke, 2012; Lee & Fawcett, 2012). However there appear to be conflicts within the very role of nursing. Advocacy, considered to be fundamental to nursing practice (MacDonald, 2006), is included as an essential quality of nurses in the Nursing and Midwifery Council (NMC) code (NMC, 2008) yet policy, in the shape of mental health legislation focus on risk management (Department of Health (DH), 2005), demands that mental health nurses be complicit in the denial of liberty and enforced treatment of some of those in their care (Pilgrim, 2005; Szmuckler & Applebaum, 2001). The Royal College of Nursing (RCN) and the King’s Fund both suggest that nursing morale is at an all-time low (Royal College of Nursing (RCN), 2015; Independent, 2015). Seeking Sense in Mental Health (SSiMH) aims to focus on auditing morale levels of students in placement and attempt to find ways to address issues arising from workplace stress, consider questions over ethical or practical aspects of treatment and raise awareness of alternative or complementary perspectives. SSiMH has a practical and intellectual purpose that aims to support and inform professionals, students and service users alike. One focus within the network involves bringing the process of mindfulness to our groups, encouraging participants to use the practice to benefit both their personal and working lives whilst potentially also offering positive experiences for service users, their carers and families (Beddoe and Murphy, 2004). Our interactions with clients carry myriad layers of our own mental clutter and one way of developing a ‘clutter free’ communication is to have awareness of possible countertransference. Scheick (2010) suggests that this awareness can be achieved through mindfulness. The aim of mindfulness is to slow the rapid and stressful stream of thoughts that constantly flow through our minds. Coming to a point of acceptance that we are in the present, not dwelling in the past or worrying about the future, and stilling the mind brings great calmness and an inner peace. When we are at our most relaxed and creative, we are in alpha brain wave mode. Stress is reported to deplete the alpha wave functionality of our brains while meditative practices such as yoga, Tai Chi and mindfulness enhance it (Miller, 2011). Psychiatric drugs are associated with a variety of unpleasant and potentially life-threatening side-effects (Boseley, 2003; Boseley, 2005: Charatan, 2005) yet medication remains the dominant form of treatment for mental health problems (Moncrieff, 2009). The availability of alternative treatments such as psychological talking therapies is geographically inconsistent and access to them often involves long waiting times (DH, 2014). We hope to encourage discussion and evaluation of the merits of complementary and alternative treatments. We have already started to develop links with service user groups and organisations such as the Hearing Voices Network who offer differing perspectives on mental health provision. We intend to invite speakers to share their visions of the future of psychiatric service provision and run workshops which will enable us to consider alternative perspectives on approaches to treatment and support. We recently held the first of these sessions, a well-attended Gestalt Art Therapy practical event which investigated emotional responses to visual imagery. We have a facebook page, or follows us on twitter @SSiMH_Network and the SSiMH website is under construction. We welcome comments, questions and suggestions from students, service users, carers, professionals and anyone else who may also be seeking sense in the mental health field. Beddoe, A.E, S.O Murphy (2004) Does mindfulness decrease stress and foster empathy among nursing students? The Journal of Nursing Education 2004, 43 305-312. Available at: http://europepmc.org/abstract/med/15303583 Accessed 10/02/2015. Boseley, S. 2003. Drugs for depressed children banned. The Guardian. Available at: http://www.theguardian.com/science/2003/dec/10/drugs.sciencenews Accessed 04/01/15. 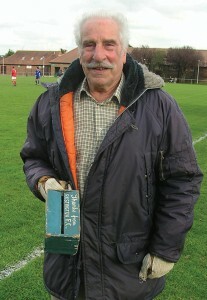 Boseley, S. 2005. Drugs ‘can trigger suicide in adults’. The Guardian. Available at: http://www.theguardian.com/science/2005/aug/22/socialcare.medicineandhealth accessed 04/01/15. Charatan, F. (2005) ‘Study finds that new antipsychotics offer few benefits over traditional drugs’ British Medical Journal volume 331 p. 717. Clarke, P. N. 2012. Discipline-Specific Knowledge: Time for Clarity, Nursing Science Quarterly 25(2) 149-150. Department of Health (2005) Government response to the Report of the Joint Committee on the Draft Mental Health Bill 2004. London: Department of Health. Department of Health (2014) Closing the Gap: Priorities for essential change in mental health. London: Department of Health. The Independent (2015) NHS hospitals flatlining: Staff morale falls to new low after Coalition ‘bashing’ Available at: http://www.independent.co.uk/life-style/health-and-families/health-news/nhs-hospitals-flatlining-staff-morale-falls-to-new-low-after-coalition-bashing-9075793.html Accessed 16/02/15. Lee, R. C. and J. Fawcett. 2012. The influence of the Metaparadigm of Nursing on Professional Identity Development among RN-BSN Students, Nursing Science Quarterly 26(1) 96-98. Available at http://nsq.sagepub.com/content/26/1/96 Accessed 16/02/15. Moncrieff, J. (2009) ‘Deconstructing psychiatric drug treatment’. In: Mental Health Still Matters, edited by J. Reynolds, R. Muston, T. Heller, J. Leach, M. McCormick, J. Wallcraft, and M. Walsh. Milton Keynes, The Open University. Pilgrim, D. (2005) Key Concepts in Mental Health. London: Sage. RCN (2015) ‘Nursing workforce morale at all-time low’ Available at: http://www.rcn.org.uk/newsevents/news/article/uk/nursing_workforce_morale_at_all-time_low Accessed 16/02/15. Szmuckler, G. and Applebaum, P. (2001) ‘Treatment pressures, coercion and compulsion’. In: Textbook of Community Psychiatry, edited by G. Thornicroft and G. Szmuckler. Oxford: Oxford University Press. “I didn’t like your letter.” Norman said. Rebecca, his daughter, had written to him on Father’s Day. It was formal and very unlike her usual style. She expressed her concerns, not so much at the marriage, but the secret way they had done the deed. She worried that he had kept something from her, perhaps about his health. She sensed something was not right, her intuition rehearsing all manner of tragic scenarios. He had phoned her that Father’s Day evening and told her about his cancer and the treatments he had undergone. Some weeks later, Norman agreed to meet with his children for lunch for his 70th birthday, leaving his second wife, Esme, at home alone. Rebecca and Greg, his grown up children, insisted they wanted to meet and spend some time with him as a family. They had lunch, but neither hungry nor enjoying the meal at the quiet bistro. After Greg left to go back to work, Rebecca and her father had some time alone together. He avoided her gaze, longing to get back to Esme. It was not the big welcome Rebecca had expected or hoped for. “You seem to be living in another world, to have shut the door on me and Greg.” She said. “Well, I have,” he replied. “I don’t understand why you can’t be happy for me. All our friends are.” His coldness shocked her, witnessing a side she had never experienced. “You must know I found it so hard losing mum, and then all this… it was all so quick.” She said. She blocked her tears, embarrassed to lose control in a public place. She longed for some indication of warmth and sympathy, a kind touch. He showed no empathy, not caring in the slightest that she had been so distraught and needed counselling to deal with the sudden death of her mother. It felt so brutal, not one iota of sensitivity to her pain. The impact of losing her mother, his wife of over 40 years, swept away, dismissed like the grubby plates in front of them from the half-finished meal. “I can’t do this again.” Norman said sadly, as he fumbled for his coat. “Ok, I understand.” She said. He had made his choice and he wanted her to be pleased for him, but she couldn’t, it was all so raw and his loving someone else felt so obscene and offensive to her mother, her memory violated. She wondered why the need to be a part of her father’s life was so strong, why was her happy marriage, busy job, two children, not enough? What was it that had made their relationship so special? She had pondered, in her darkest moments, if there was something almost sexual, but this was ridiculous, she dismissed this. The umbilical cord to her past was pure and innocent and formed from her memories of childhood and adolescence: the unconditional love of a father to his daughter. He always made her feel she was so special. Over the next ten years, Rebecca learned to be grateful that she kept some communication with her father. Christmas and birthdays, she used her boys as hostages to get through the threshold of her former parents’ house. Every visit .some subtle change had been made until nothing of her mother’s taste remained; her pictures were quickly relocated to the loft, Esme’s family taking precedence on the teak sideboard. All the detritus of the previous life removed, snuffed out so her memory was invisible. At times, she found it hard to imagine where it would all end, if she would be allowed to see Norman if he became ill again or if she would be exiled. She rehearsed how she might respond. She dreamt of one bedside vigil, being called to see him, begging her forgiveness for all the hurt he had caused, content that the happy ending she longed for had come at last. But she knew that Esme would make her suffer in some evil way and she would hear after he had died, denied access to make their peace and forever living in pain and sorrow. Sometimes she decided to sever all ties, protect herself, building her resilience to cope with the loss to come, but never quite having the guts to go through with it, always keeping some superficial reason to maintain contact, frightened of what she might lose and how she might feel afterwards, as there would be no going back. Then Esme died suddenly, she could see Norman when she liked, no longer estranged, alienated from him after all those long years of separation. But it was a bitter-sweet victory, as dementia had crawled into his mind leaving an empty catacomb where memories of their happy times together once thrived. The call came at 5.30am. “Get here soon as you can.” Greg said, exhausted from lack of sleep and the enormity of the situation. Rebecca drove through the night, oblivious to the driving rain and speed cameras. She ran to the Emergency Department the glaring white lights ablaze as she wove through the maze of curtains and rooms, searching for him. He lay there attached to the ECG monitor, bleeping with life, taunting her with hope. She looked into his eyes but there was no response, just dark pools, fixed and dilated. He never wanted to be kept alive; his biggest fear dependence. The machine with its incessant alarm was switched off and he gasped his last breath. She left the room, letting out a primal scream, but no tears came. She didn’t care who heard her. It came from the very depths of her heart, so broken, mended and now ripped apart, and this time for good. They moved him to a room, an oasis of calm in the madness of the busy department. He was laid out respectfully, his soft baby-like hair brushed neatly. Rebecca gently kissed his now cool forehead. “I got you back.” She said.